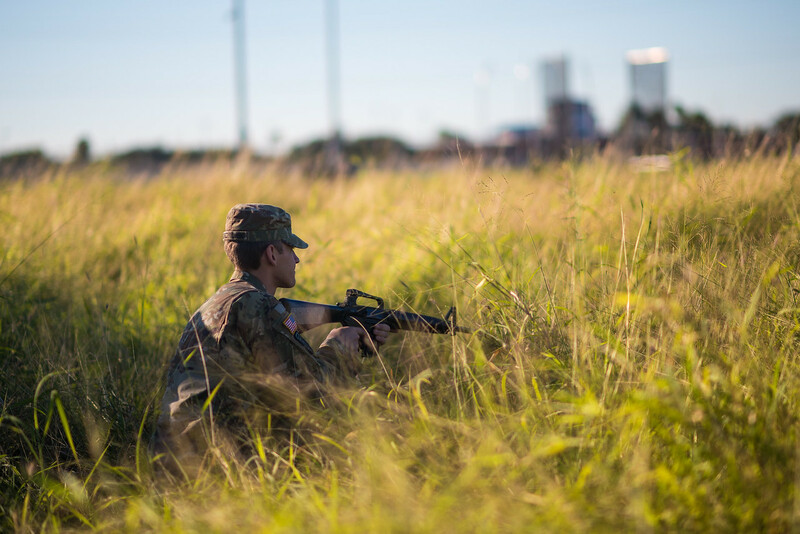 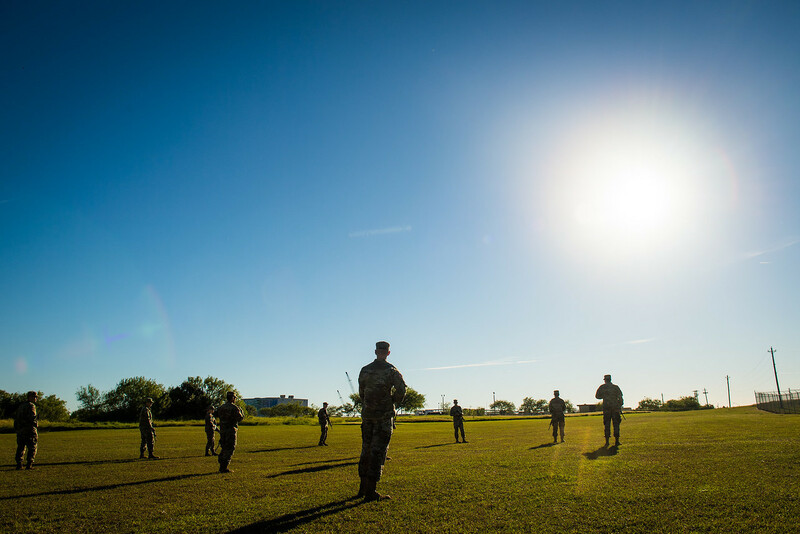 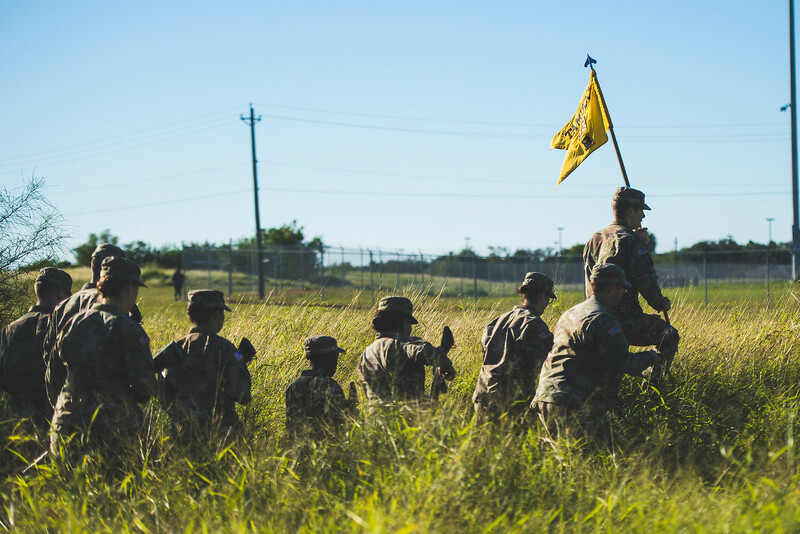 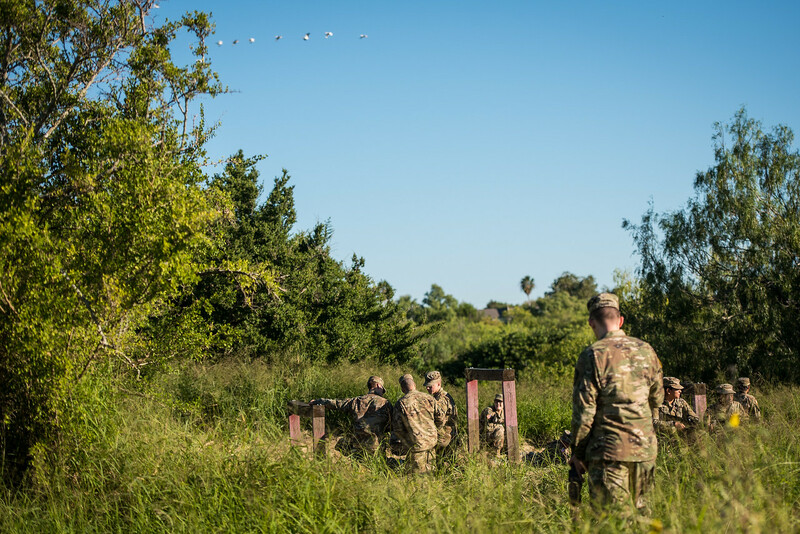 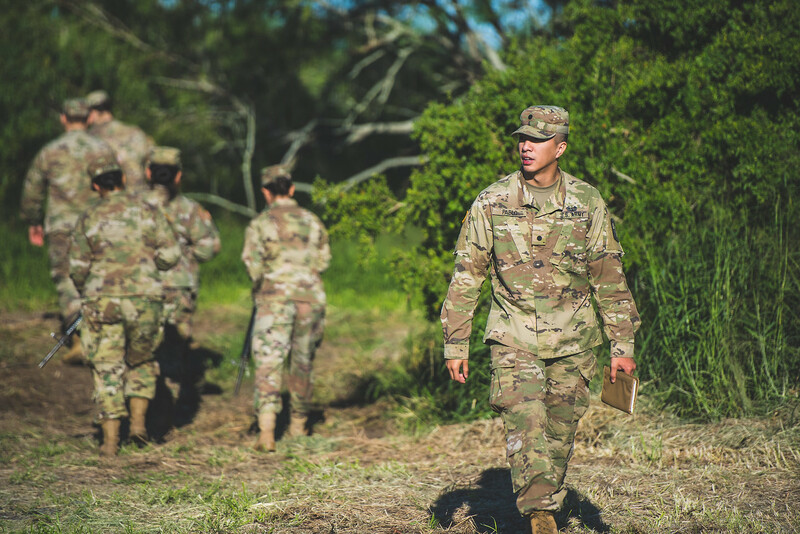 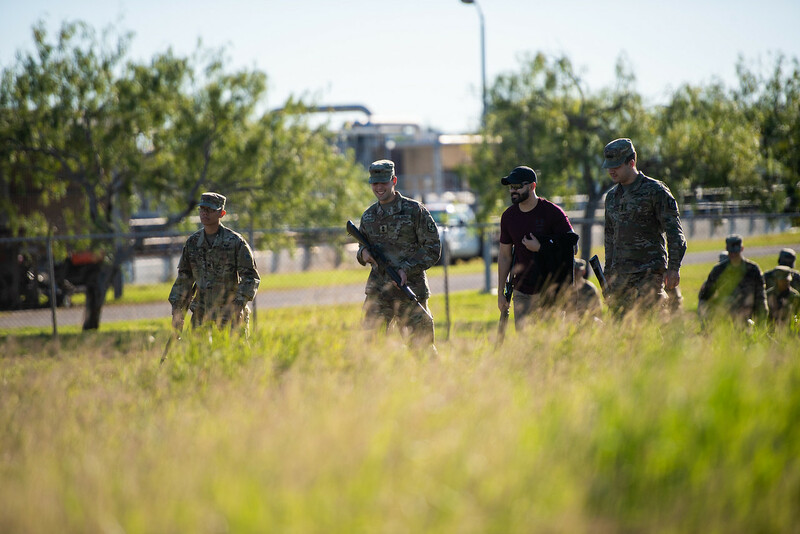 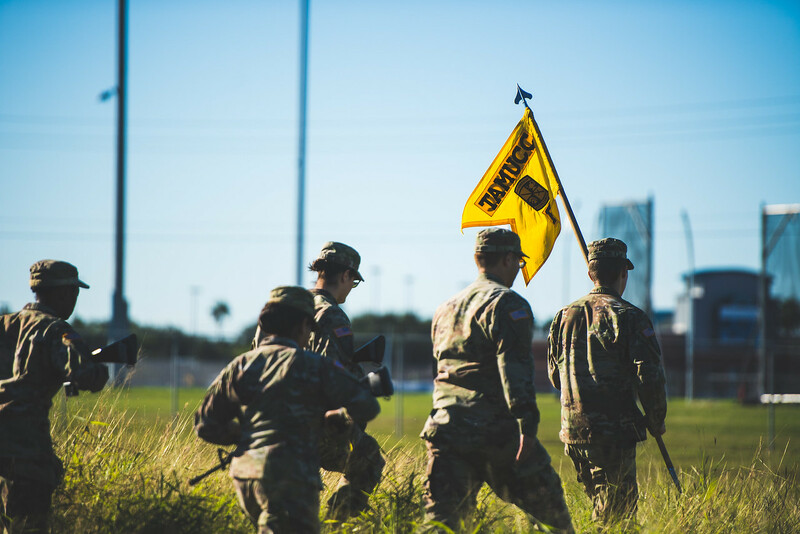 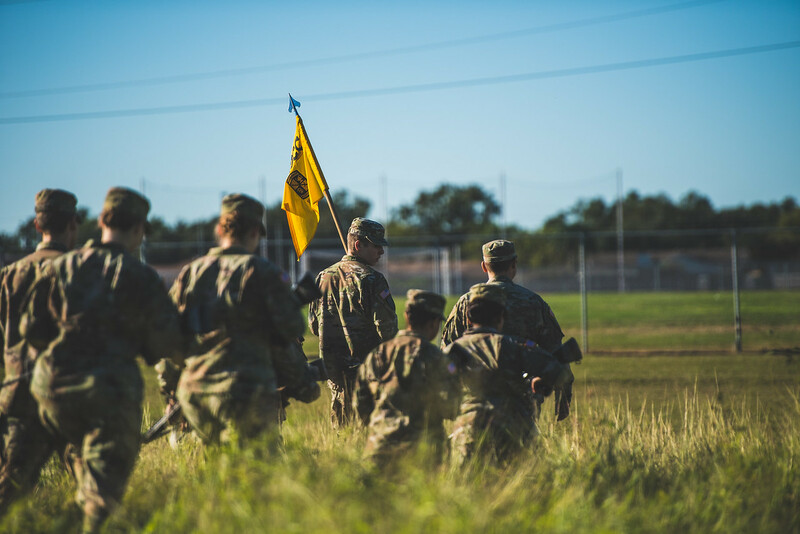 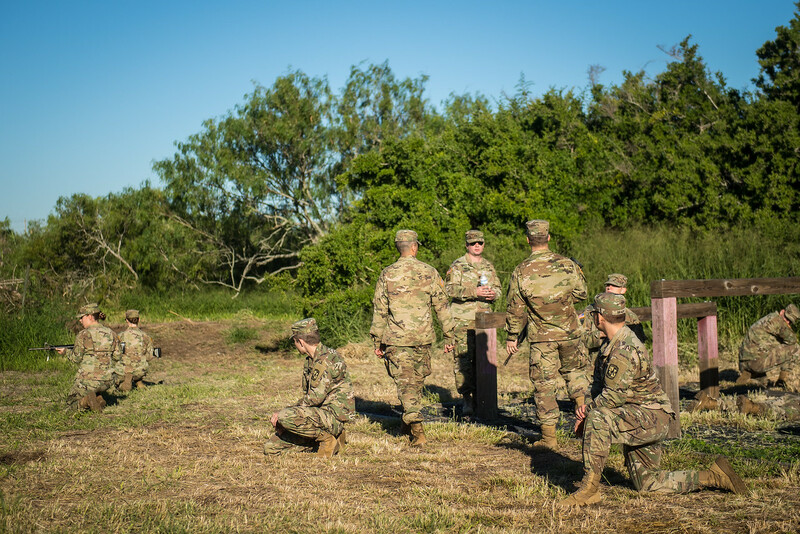 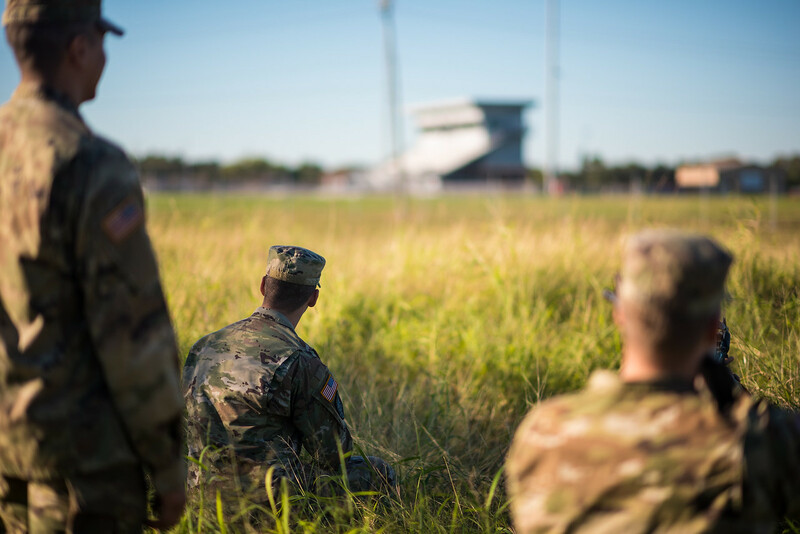 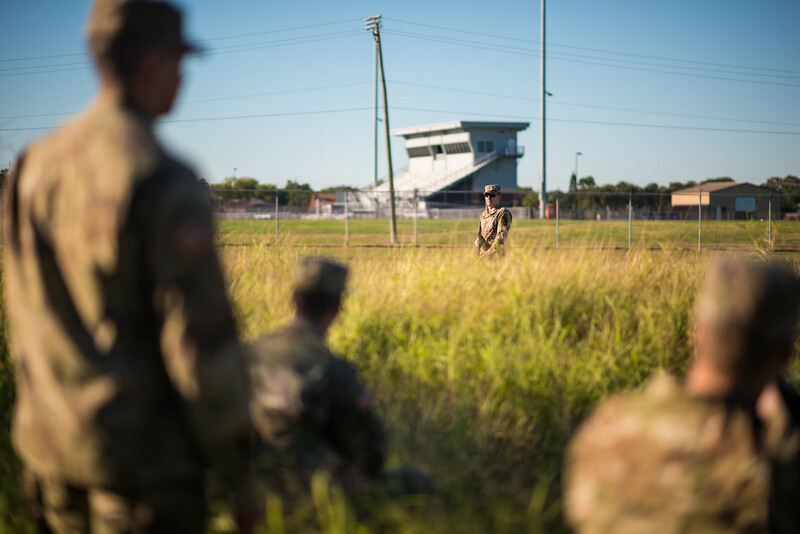 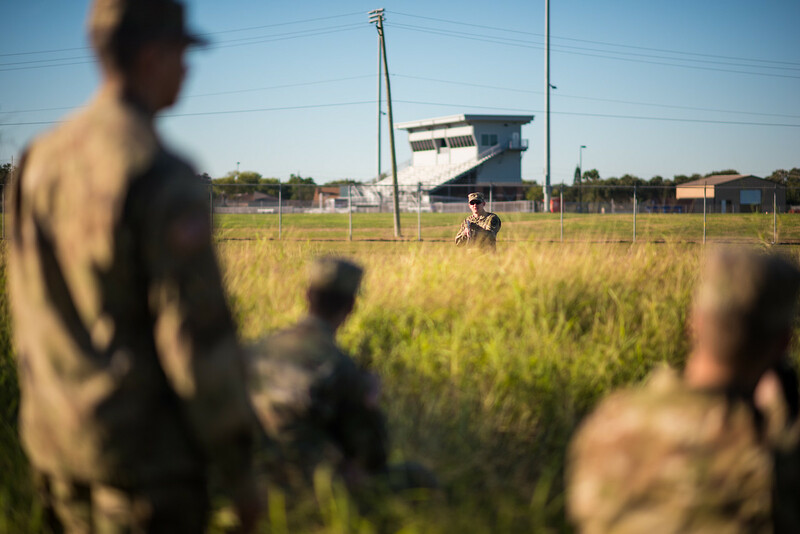 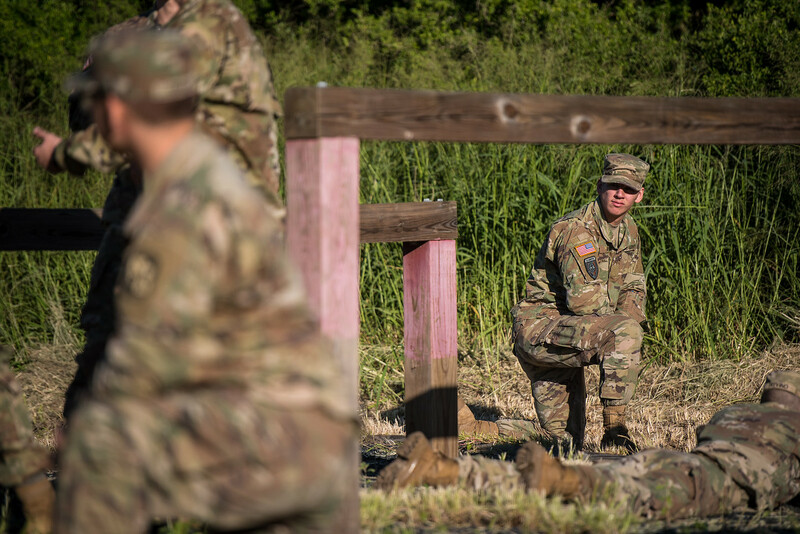 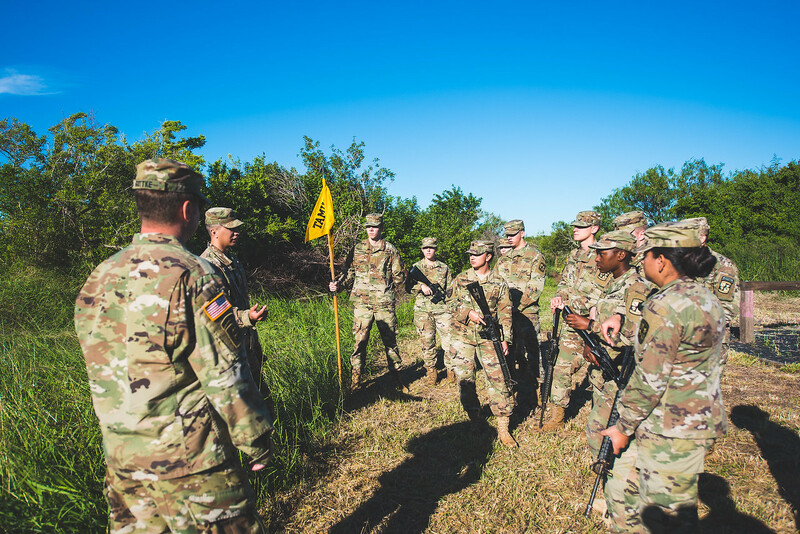 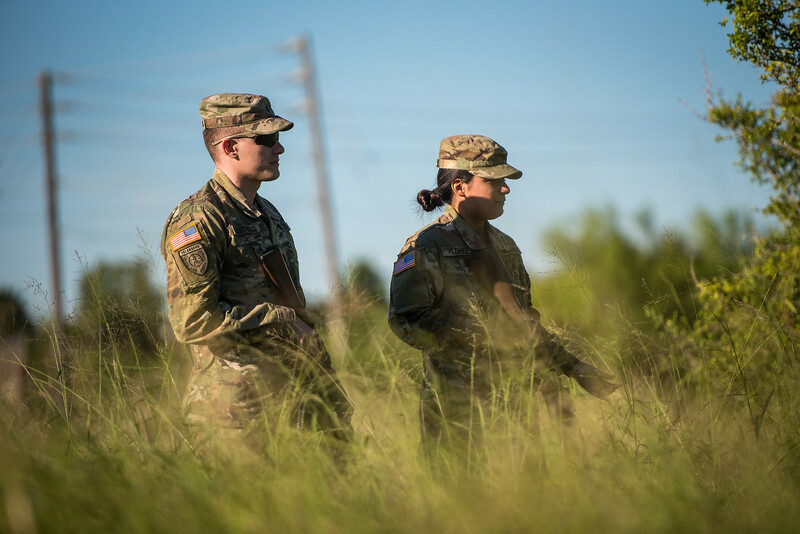 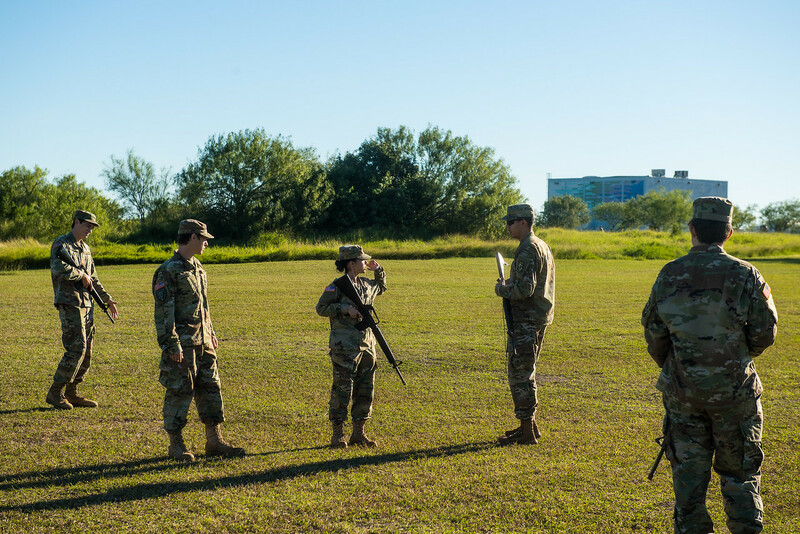 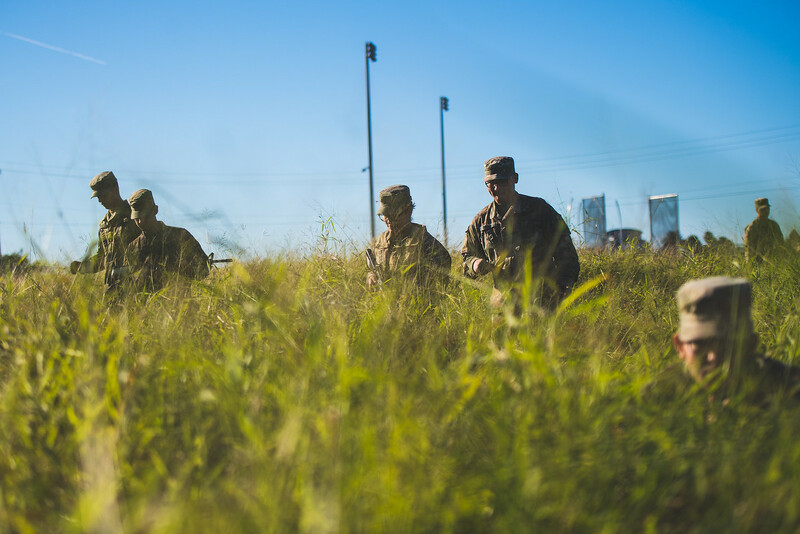 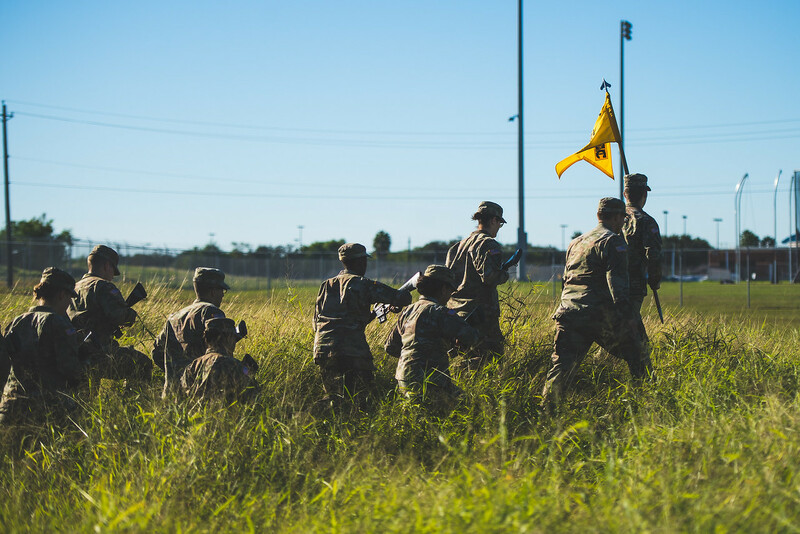 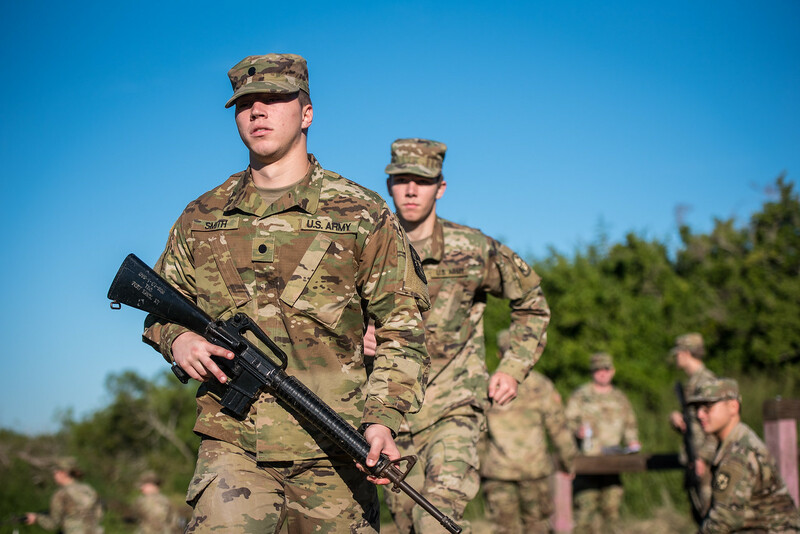 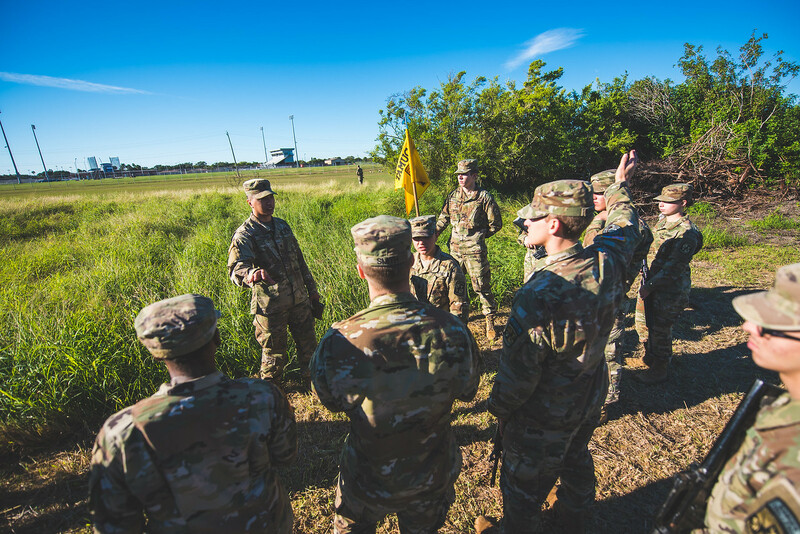 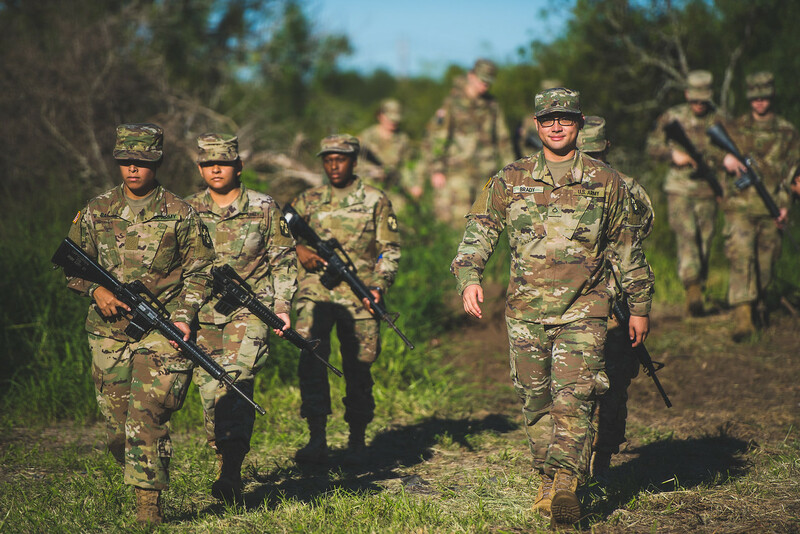 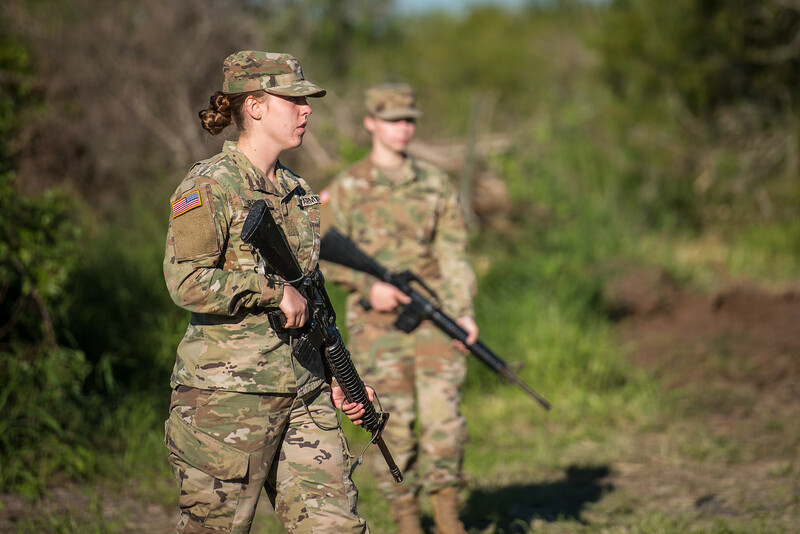 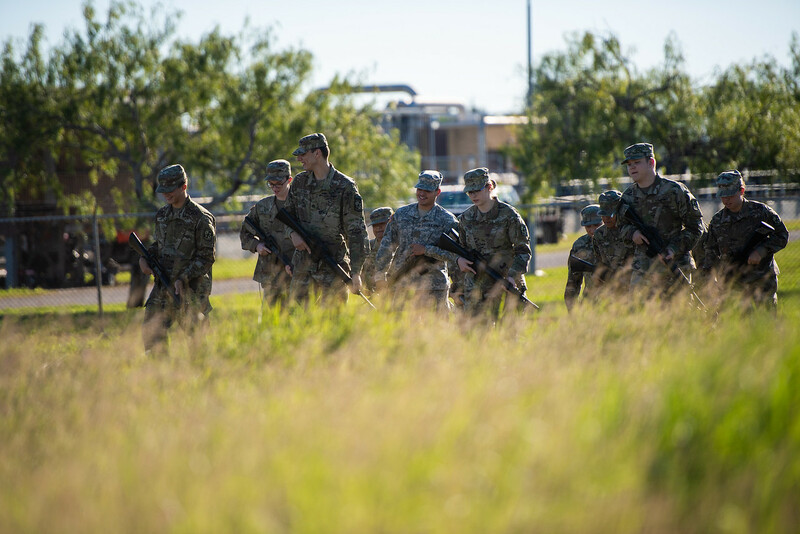 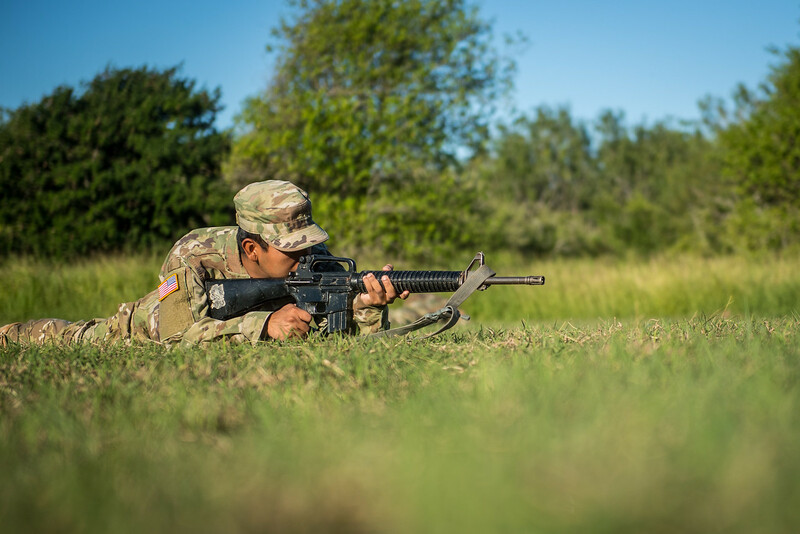 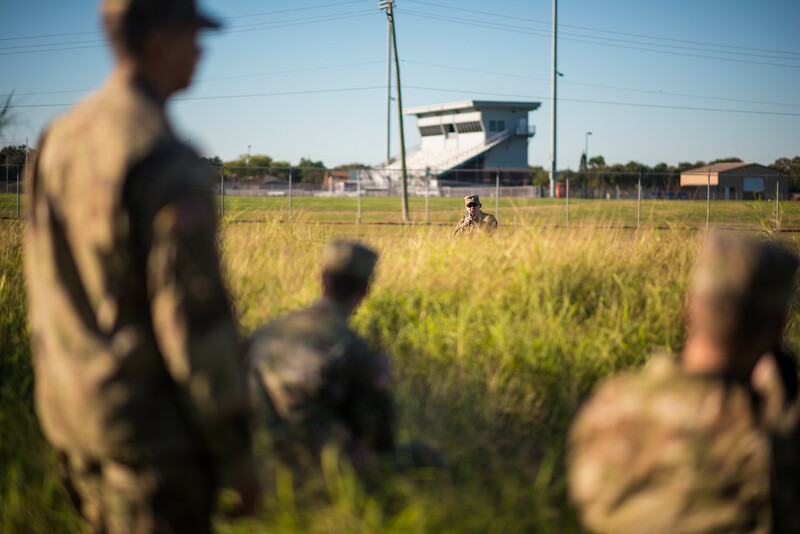 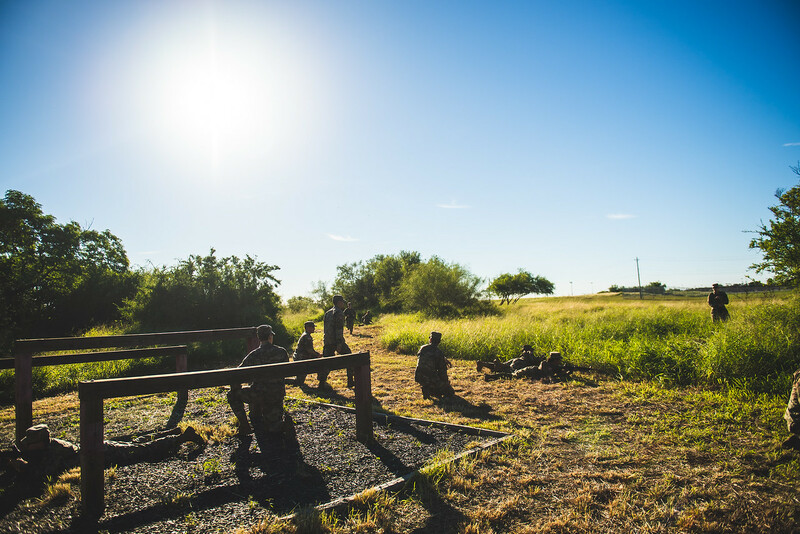 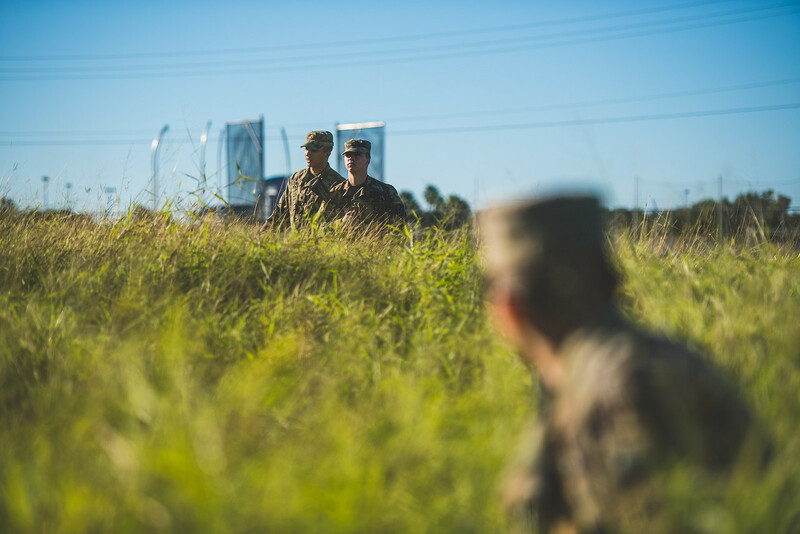 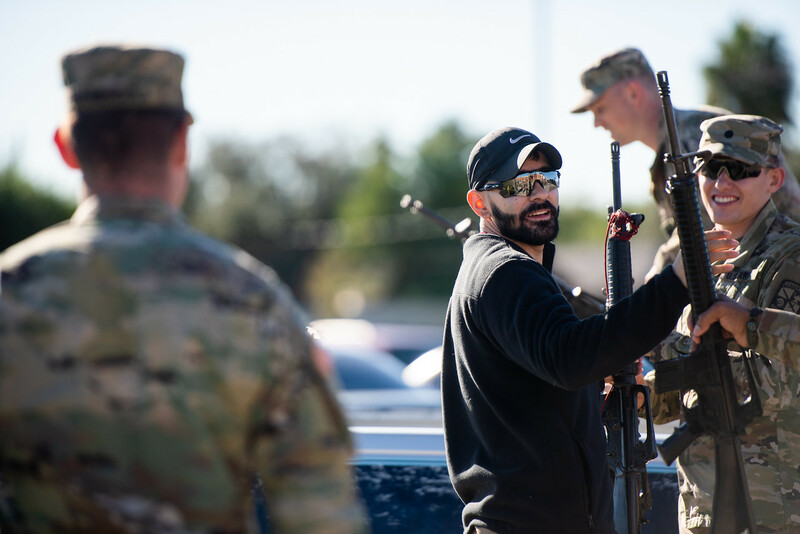 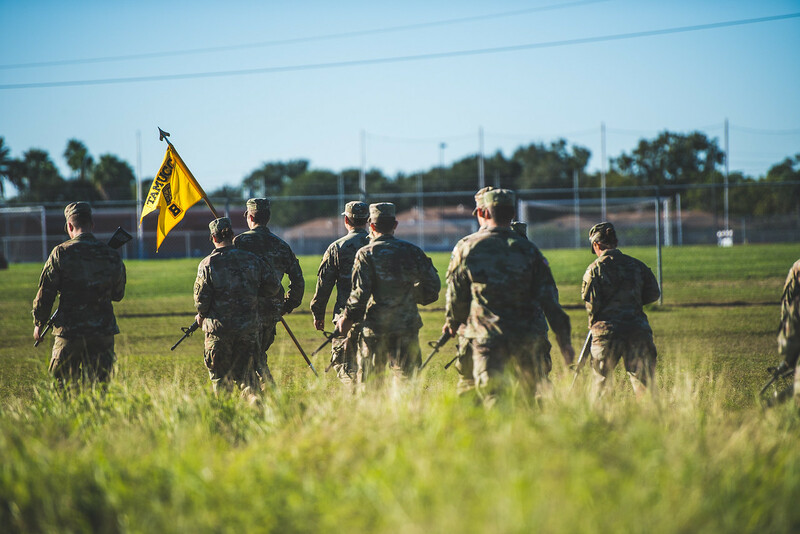 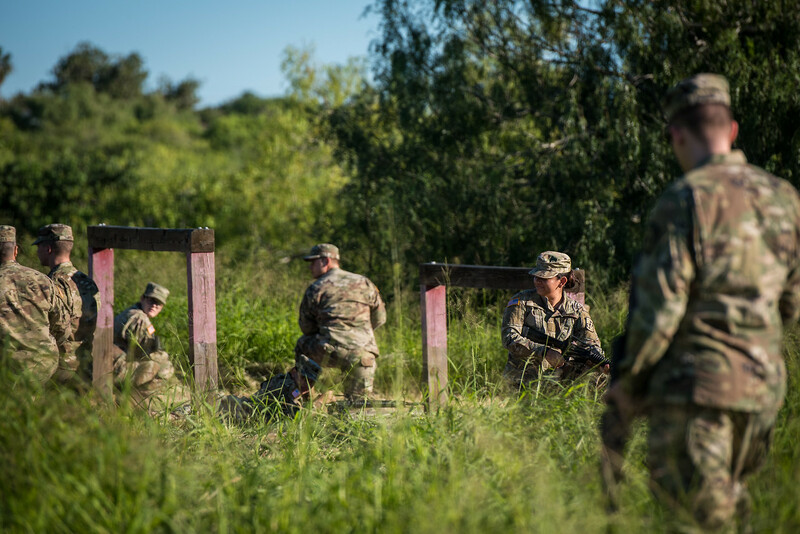 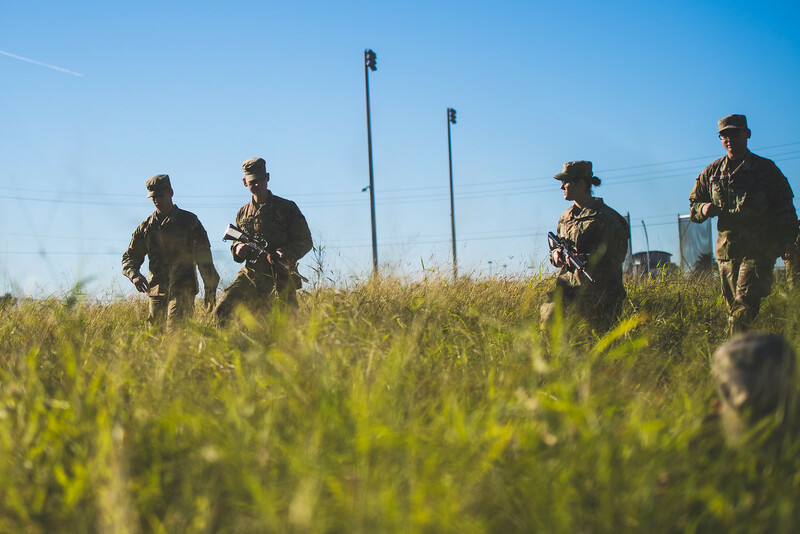 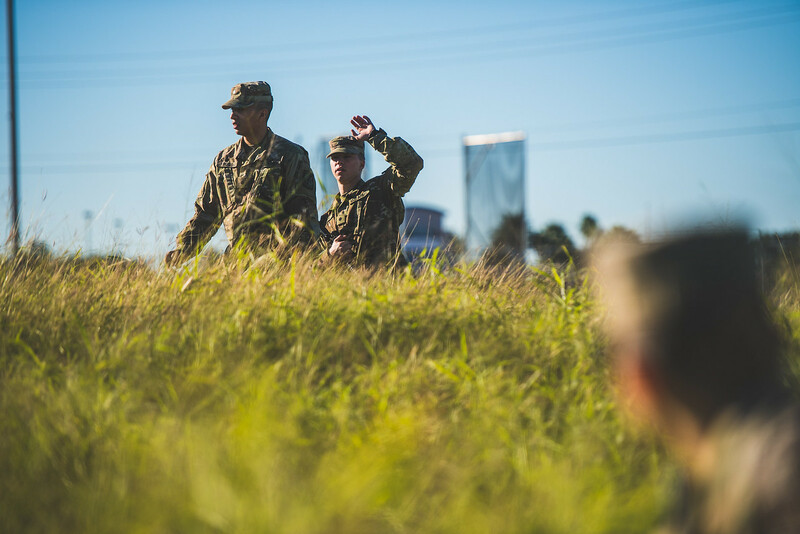 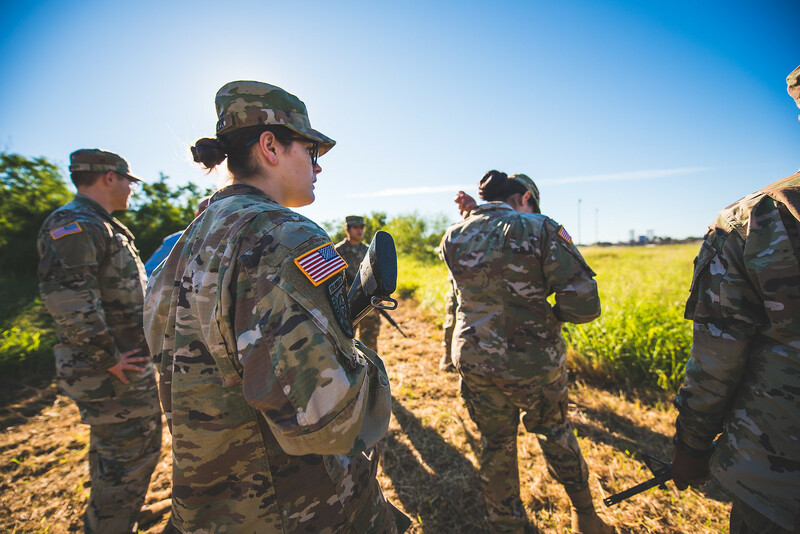 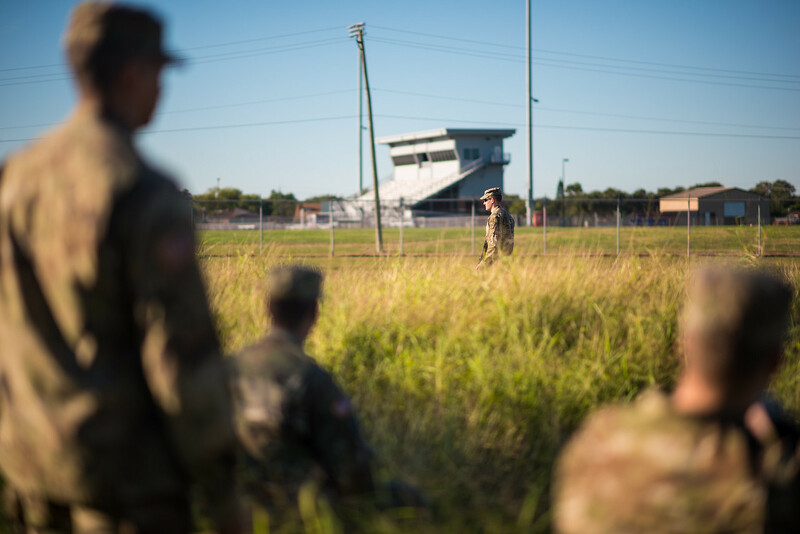 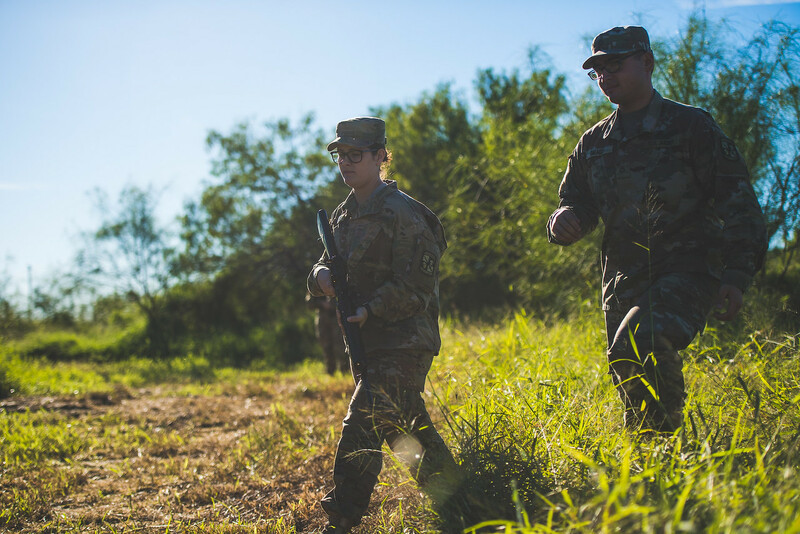 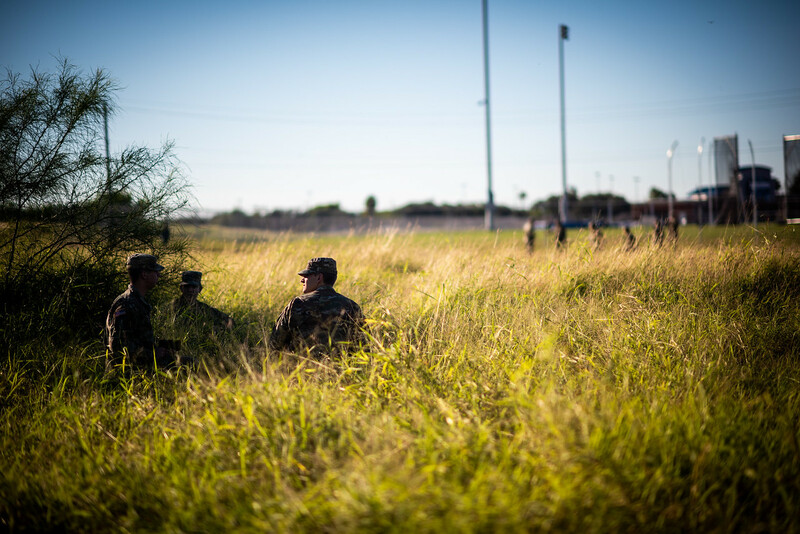 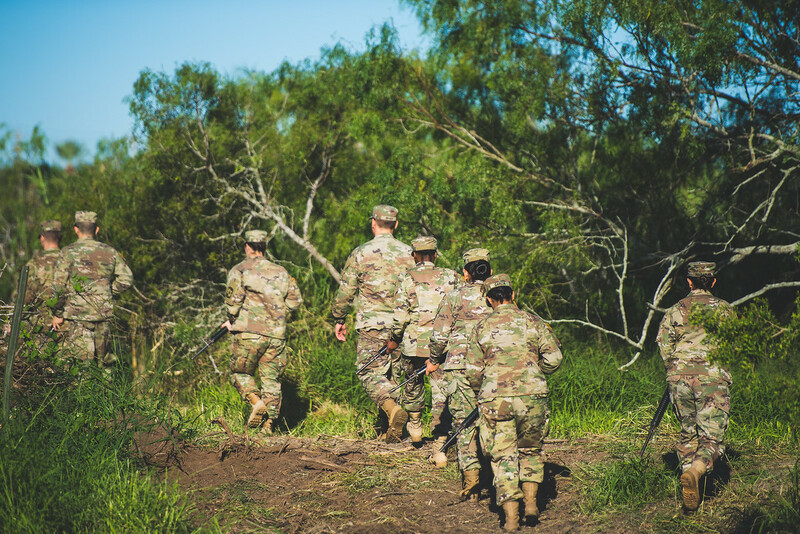 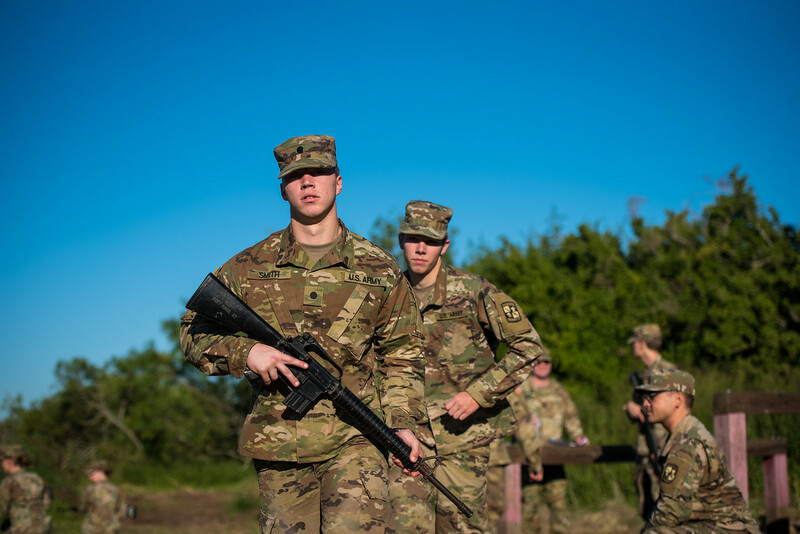 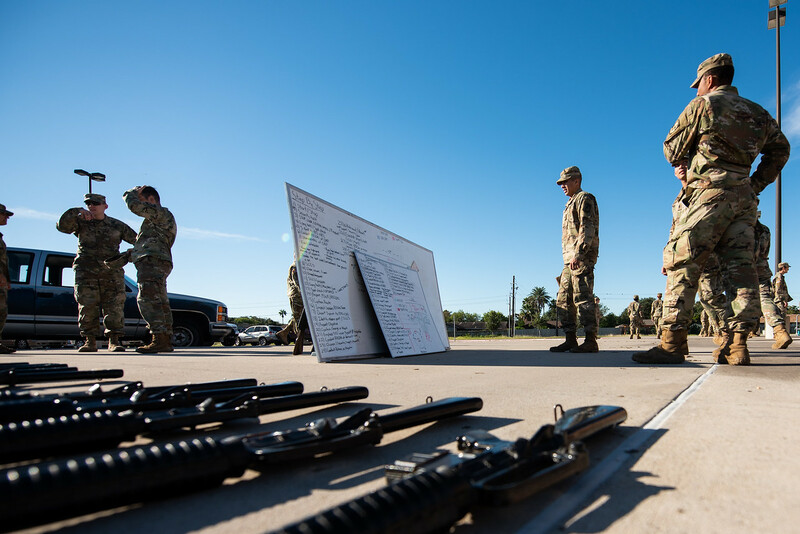 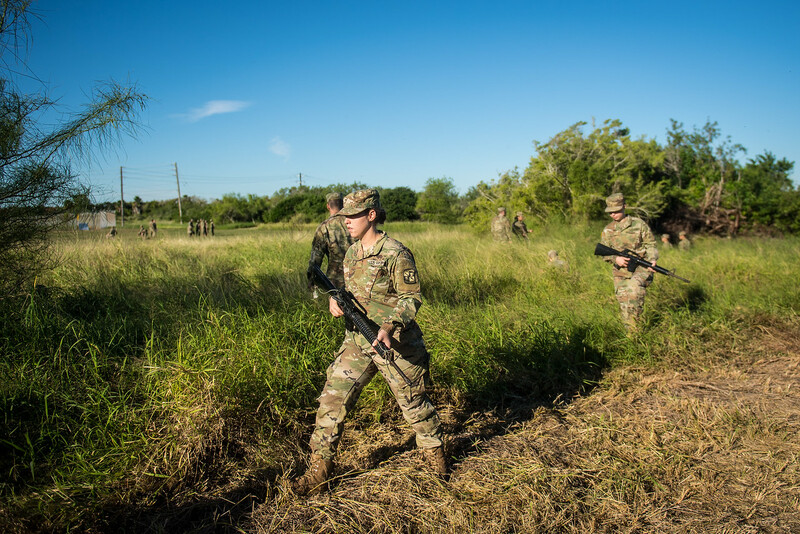 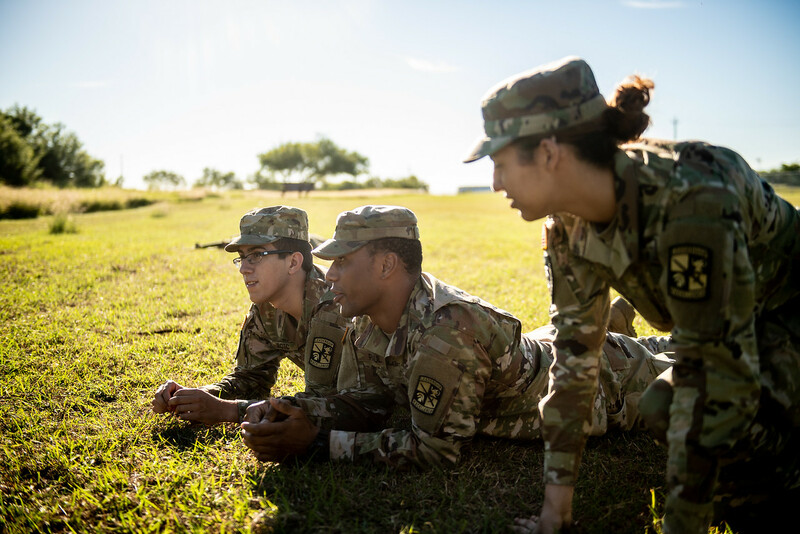 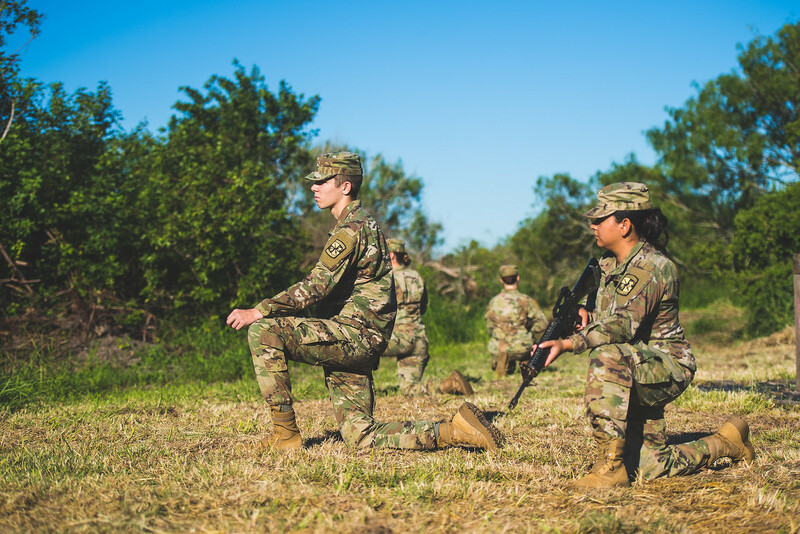 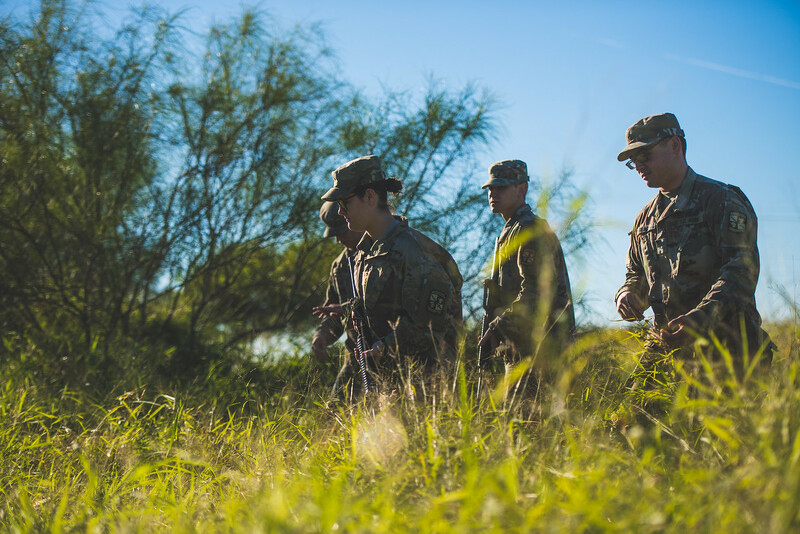 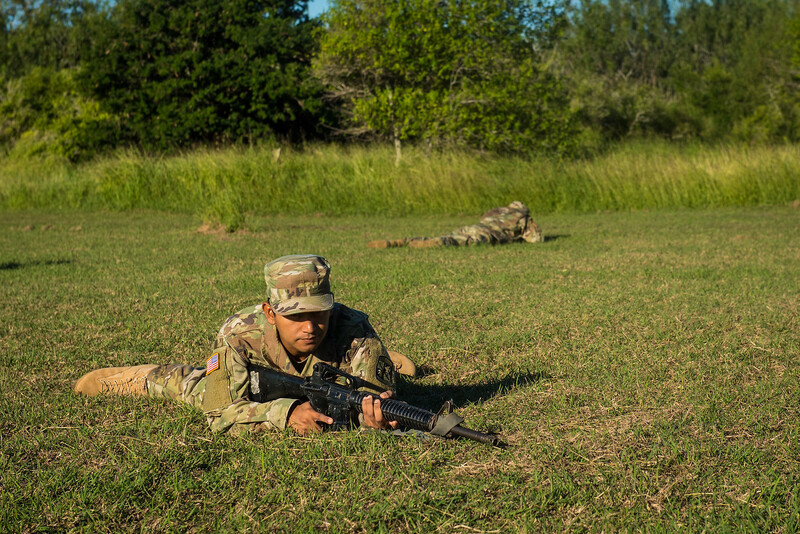 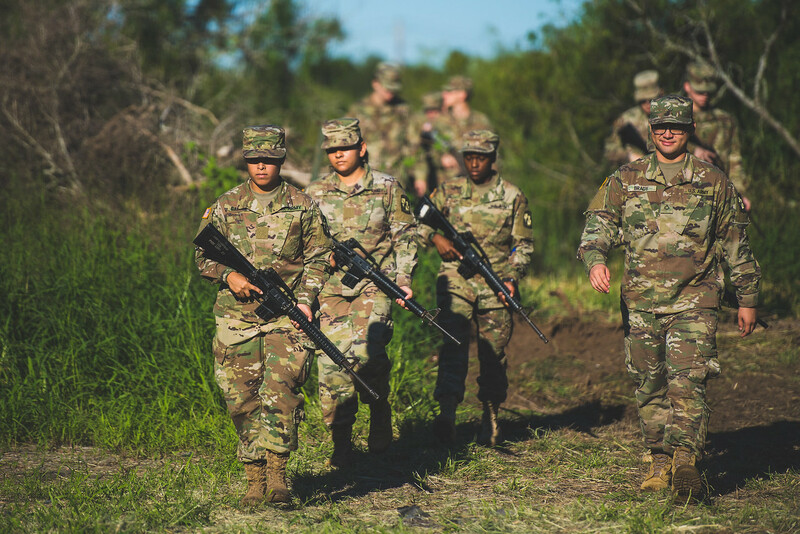 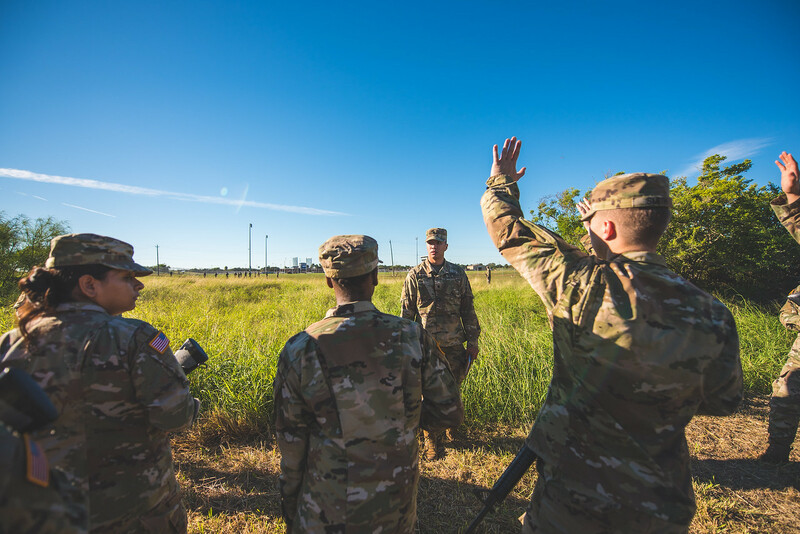 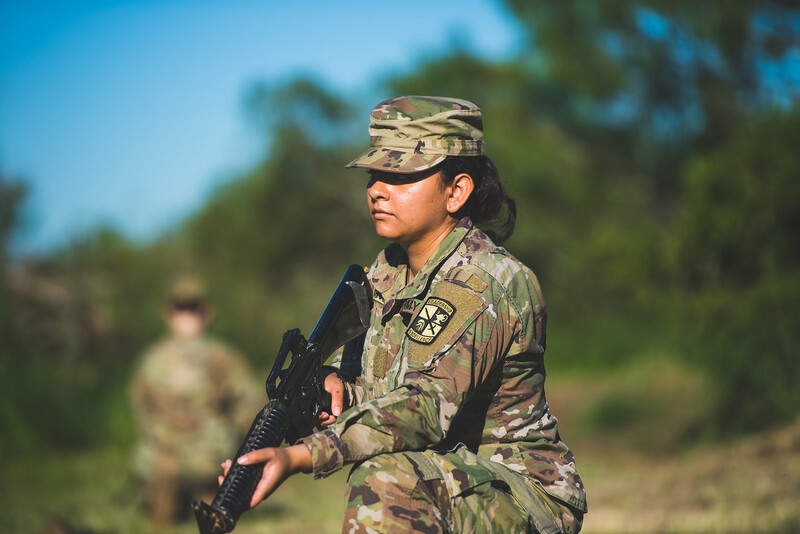 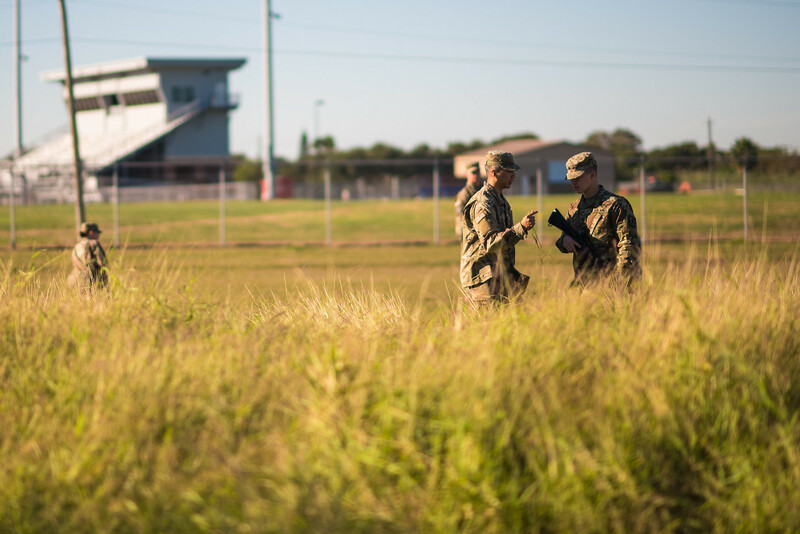 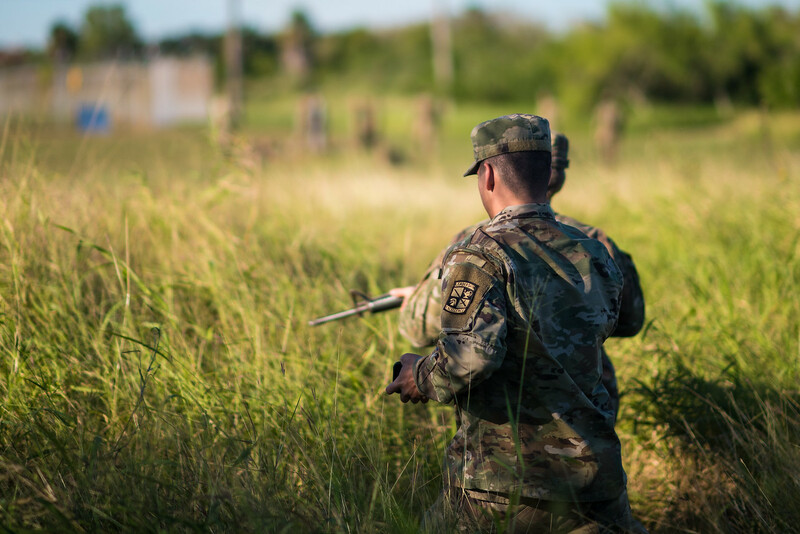 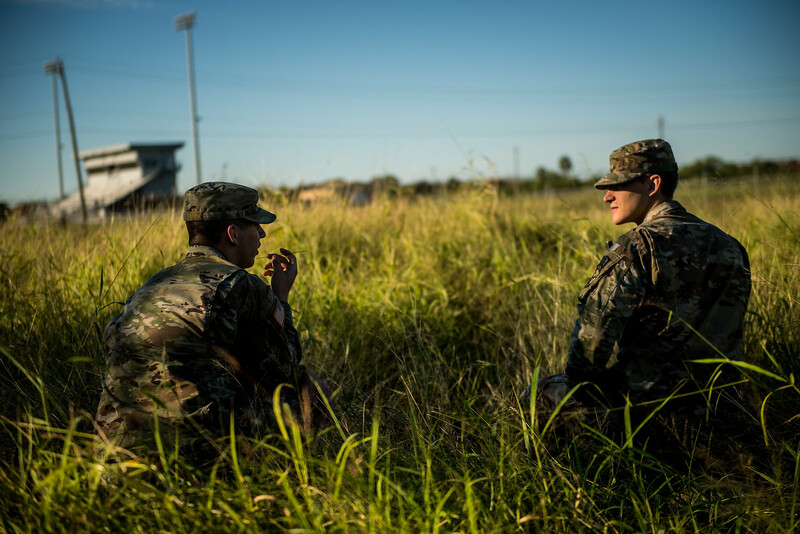 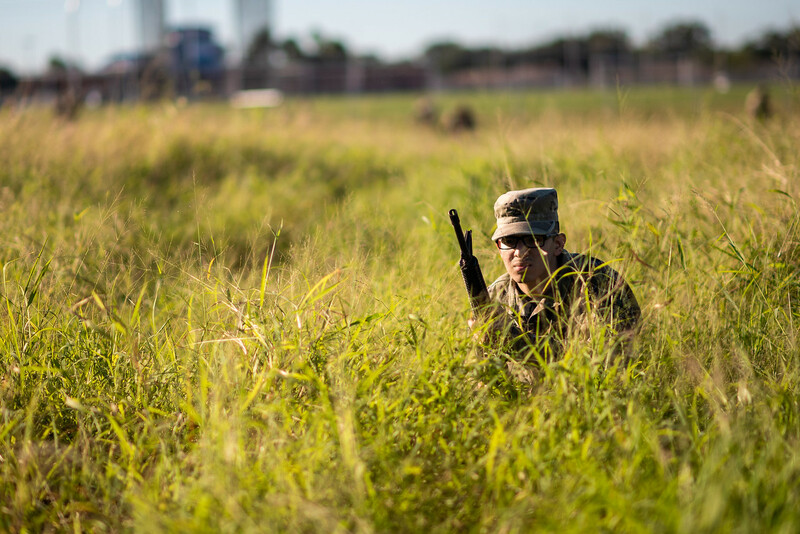 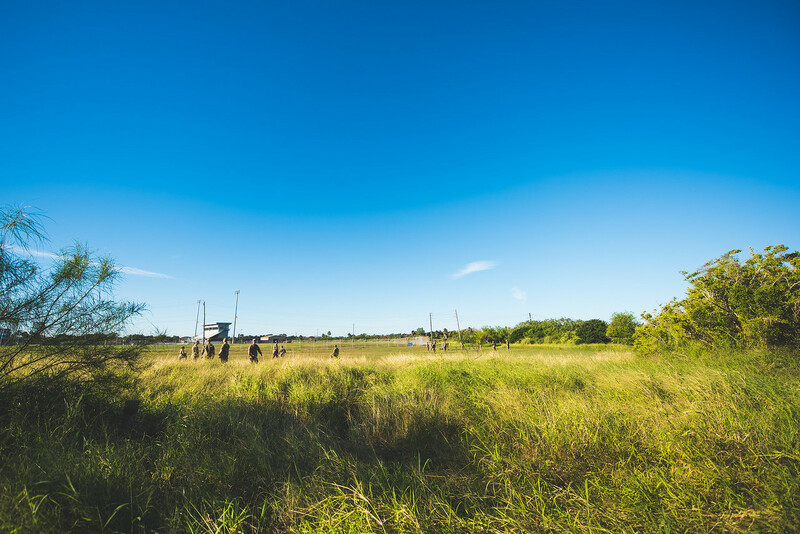 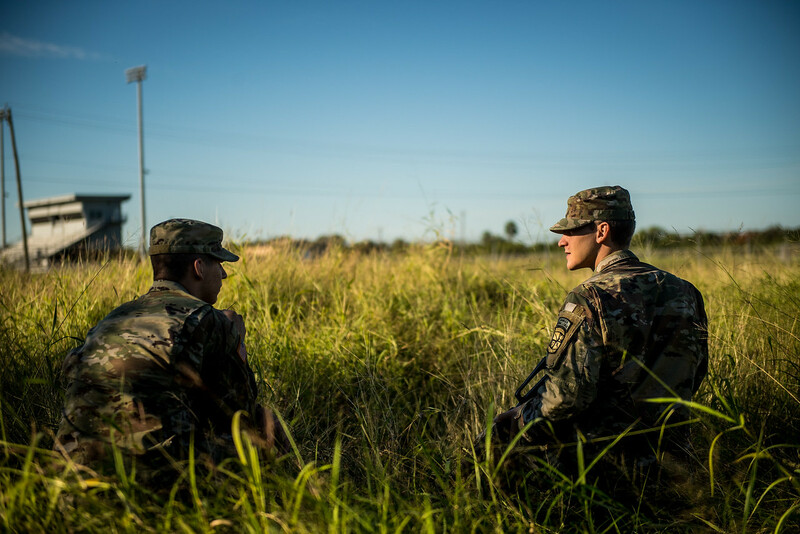 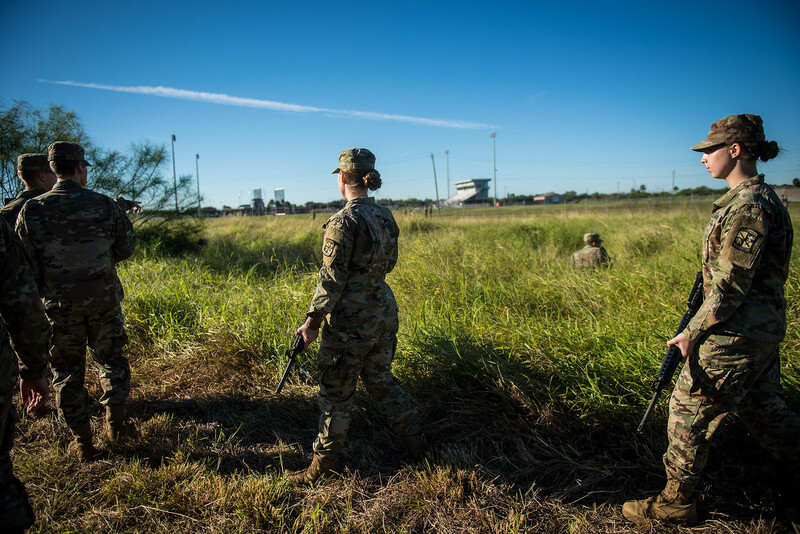 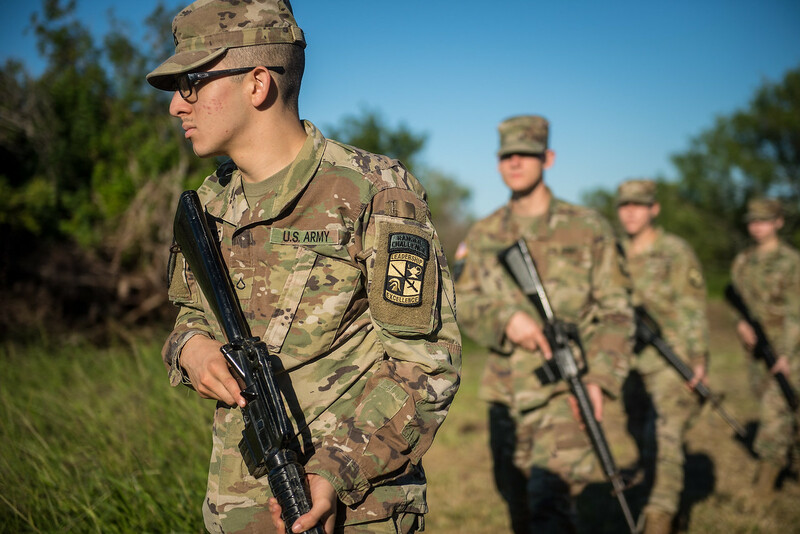 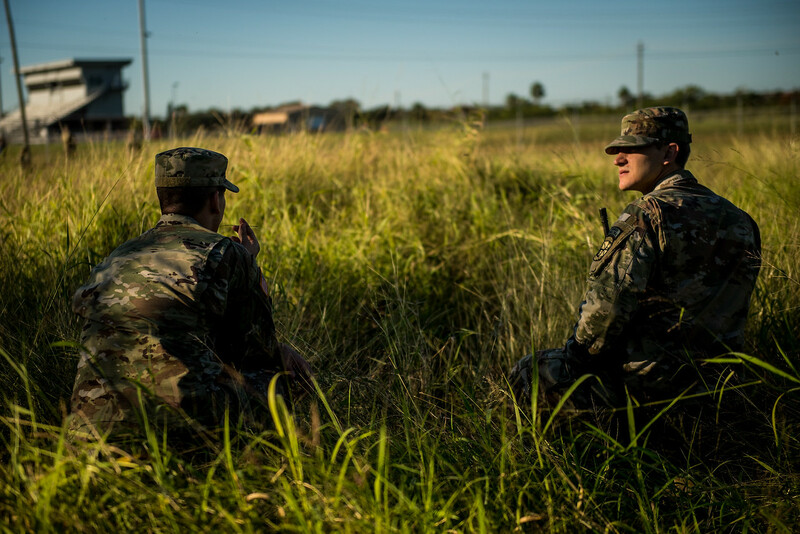 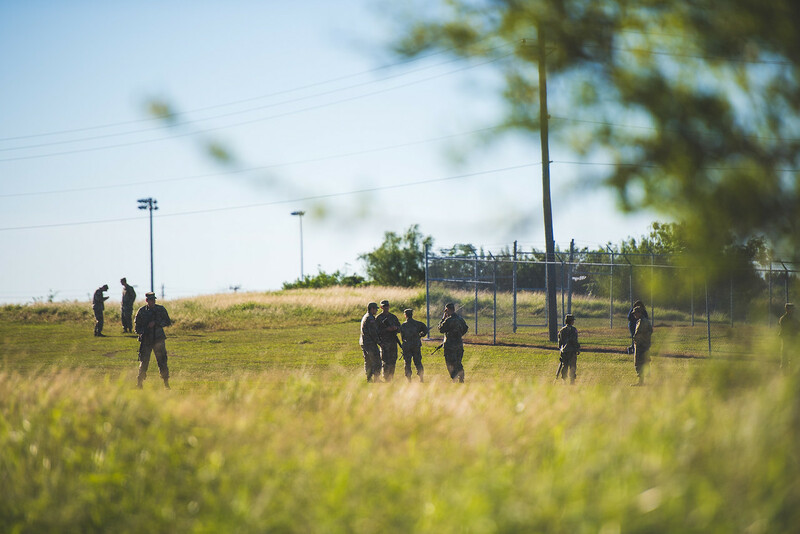 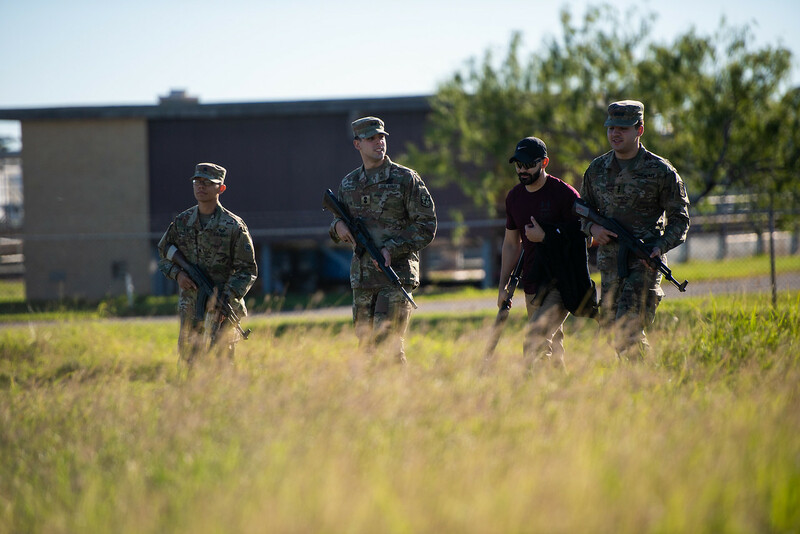 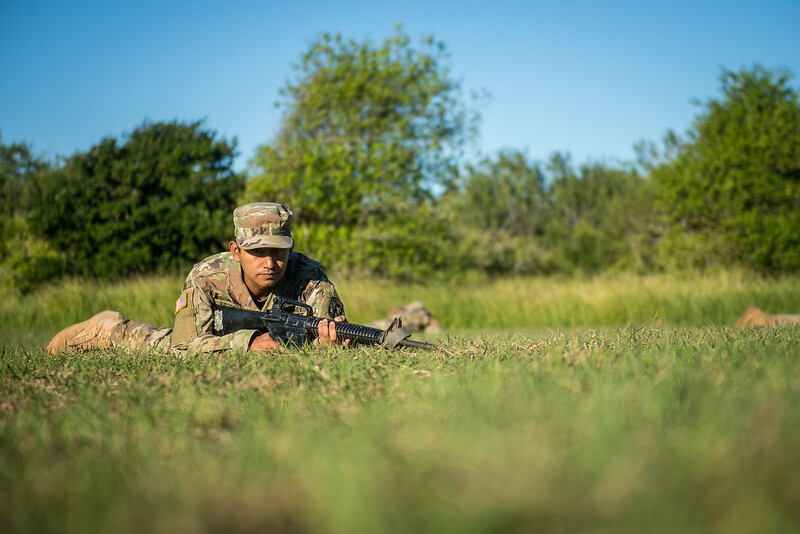 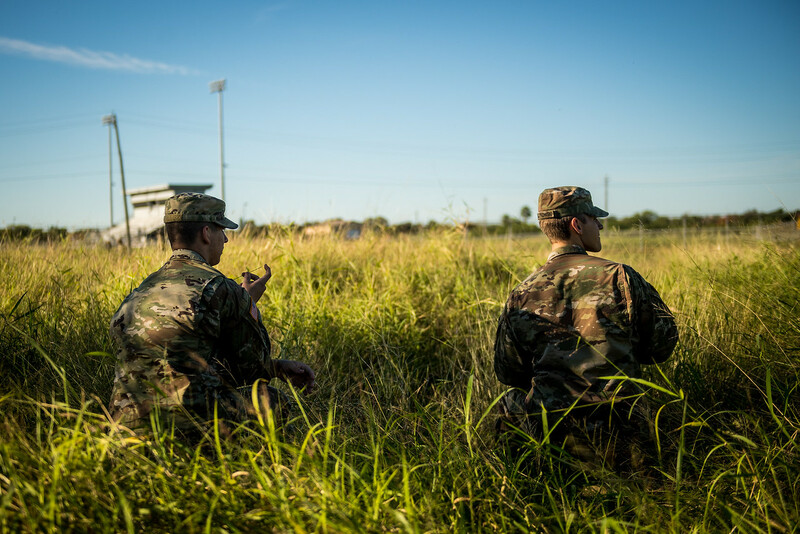 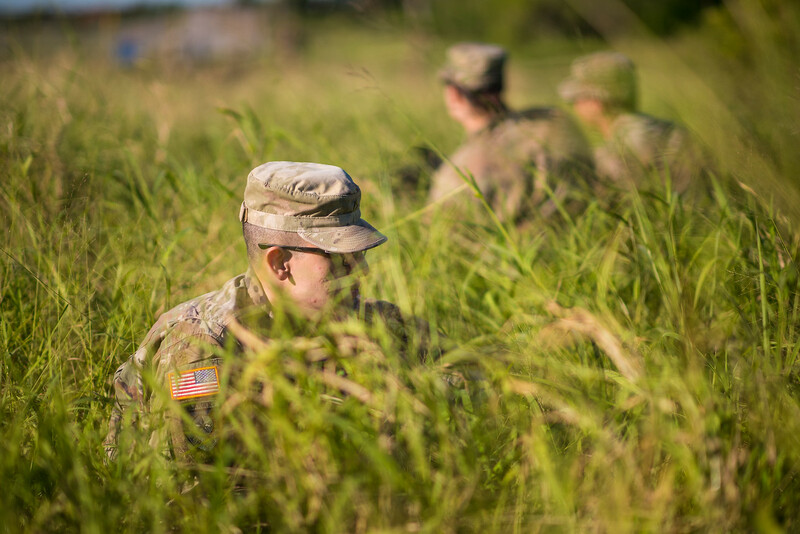 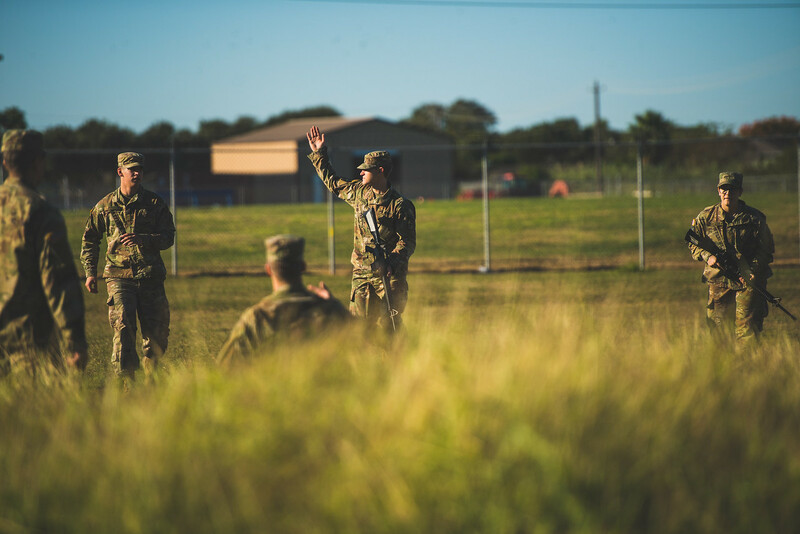 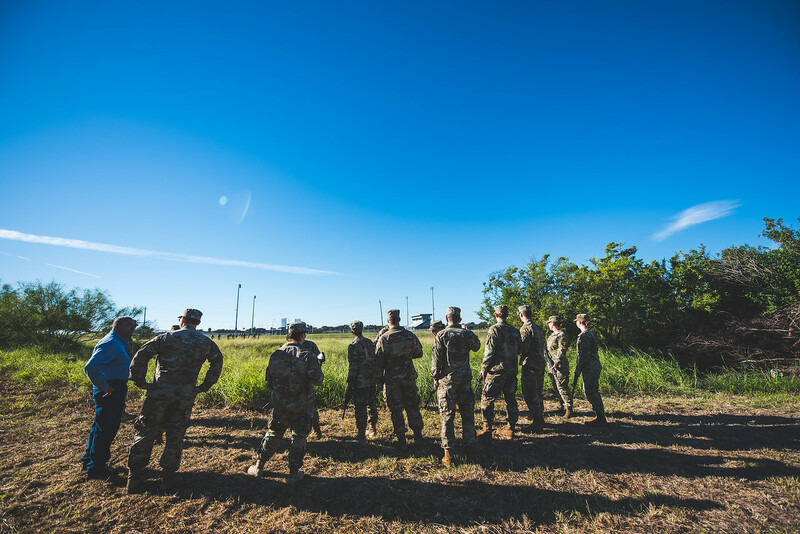 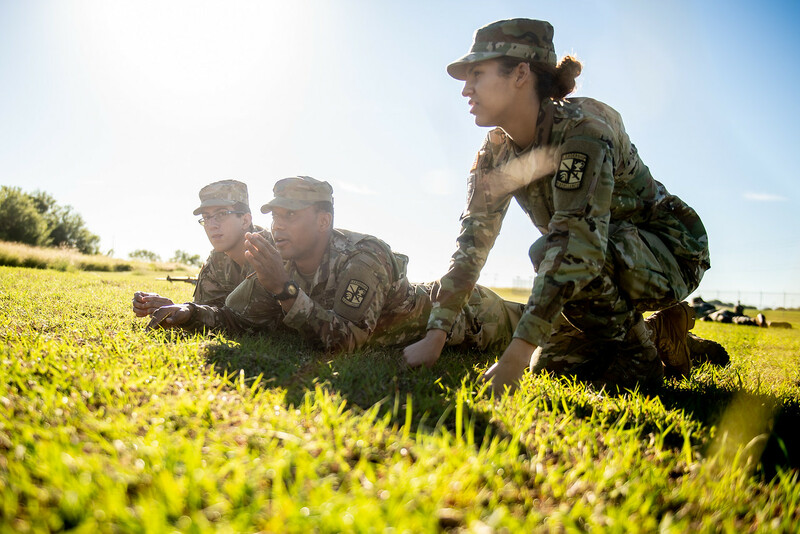 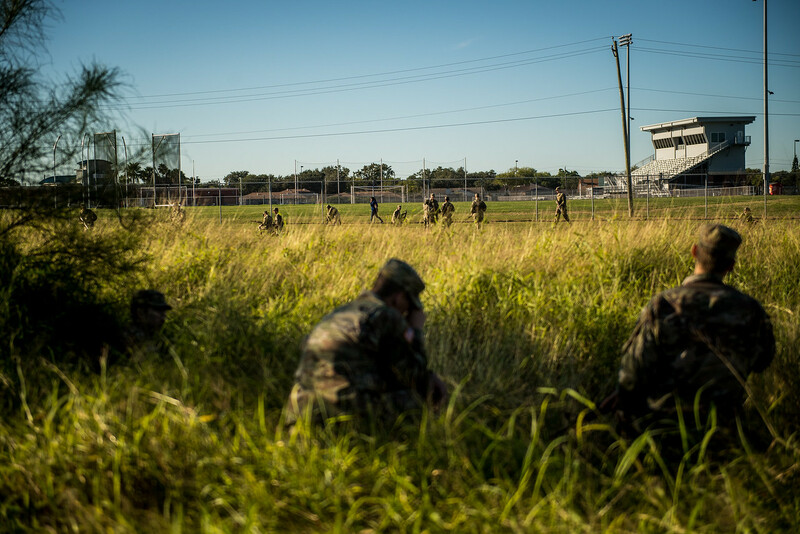 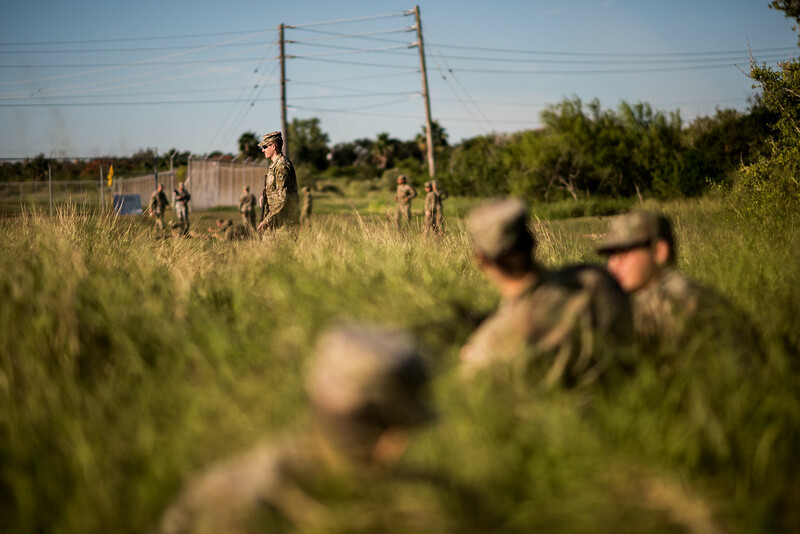 CORPUS CHRISTI, Texas – Beneath the shadows of Momentum campus and among the tall grass and marshy geography surrounding Corpus Christi Bay, the Islander Battalion practiced and perfected ambush tactics during a field training exercise in early November. 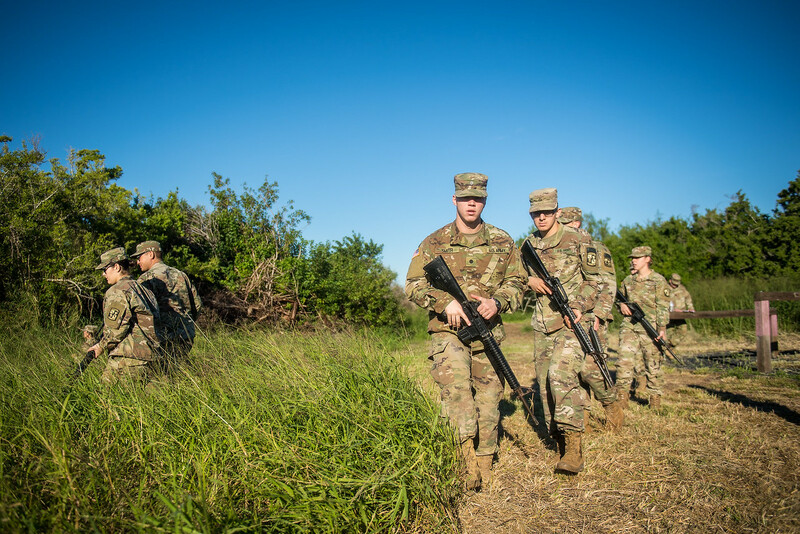 The Islander Army ROTC program at Texas A&M University-Corpus Christi develops a dutiful culture centered on molding cadets through a basic Army training regimen while also providing students with a solid future, civilian or military, built upon strong character, respect, and leadership skills to excel in any facet of their lives. 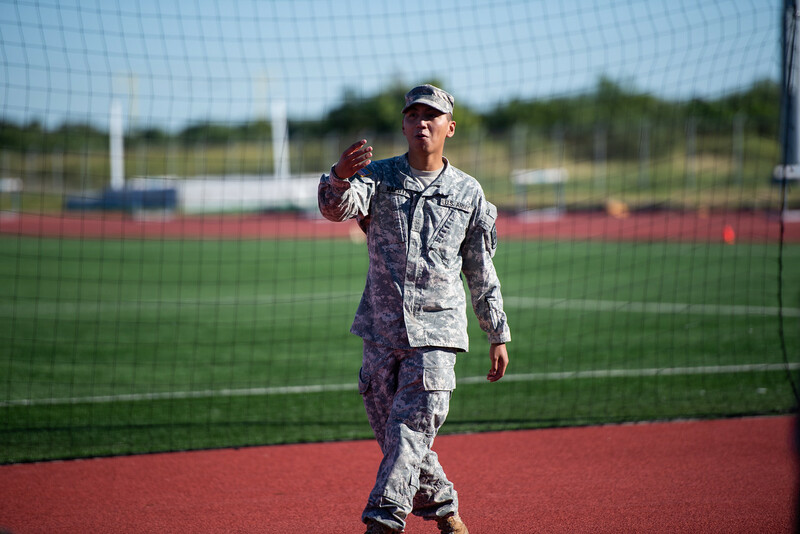 The ROTC program is offered as an elective/minor curriculum taken with other required college courses. 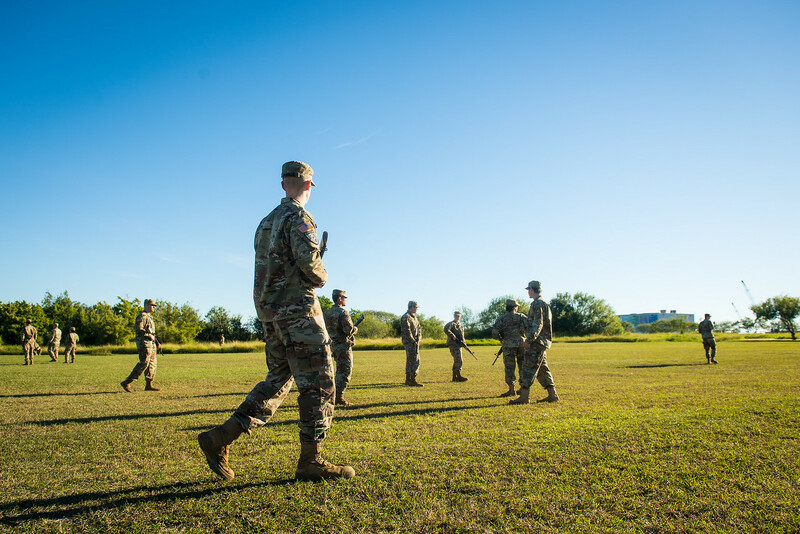 Curriculum is comprised of weekly field trainings, leadership classes, and physical fitness training. 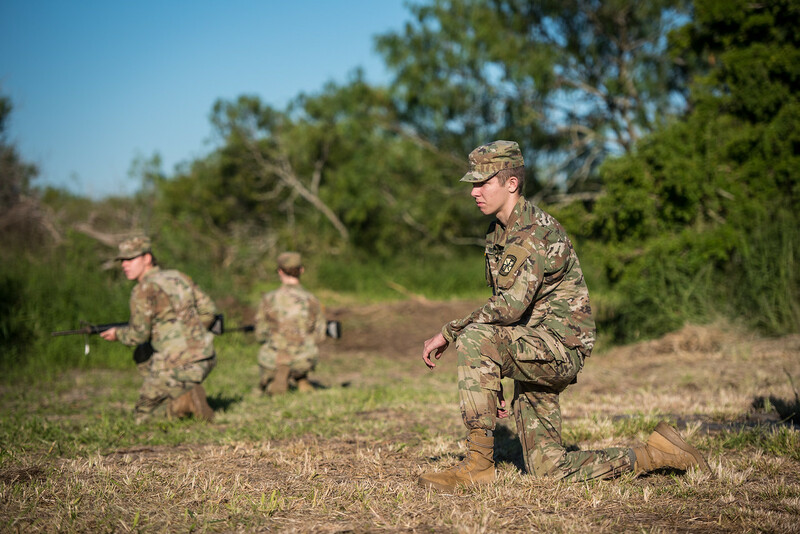 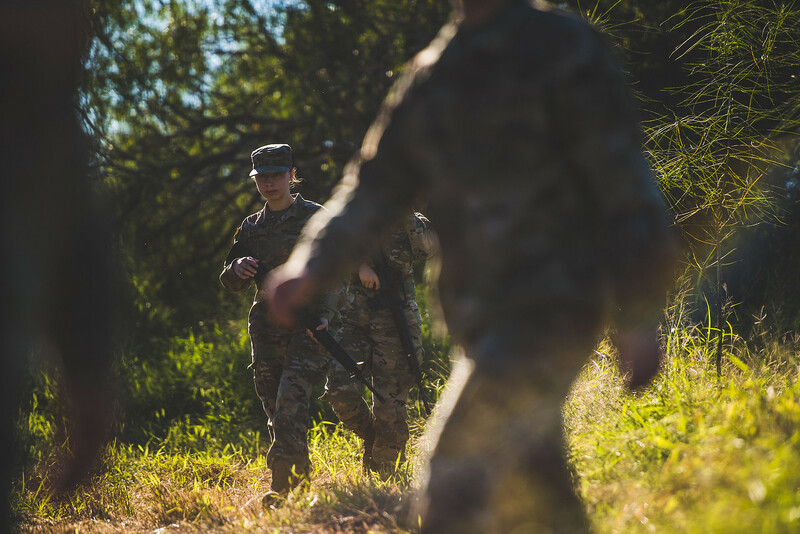 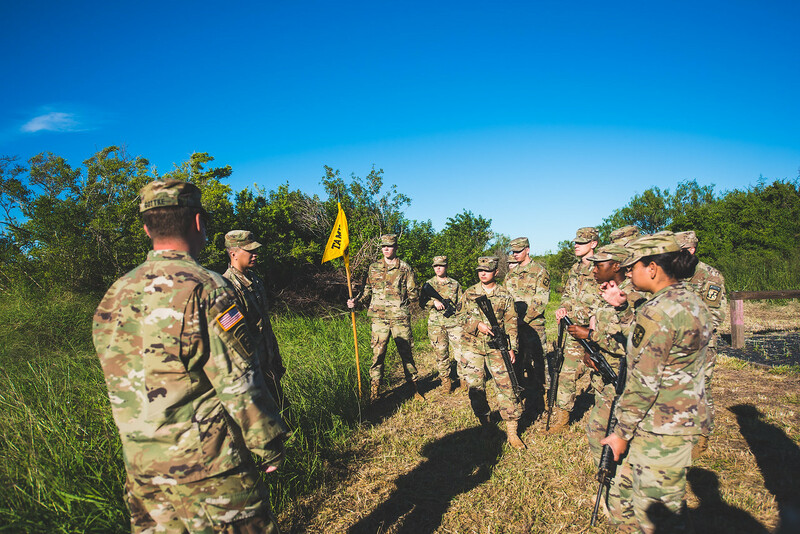 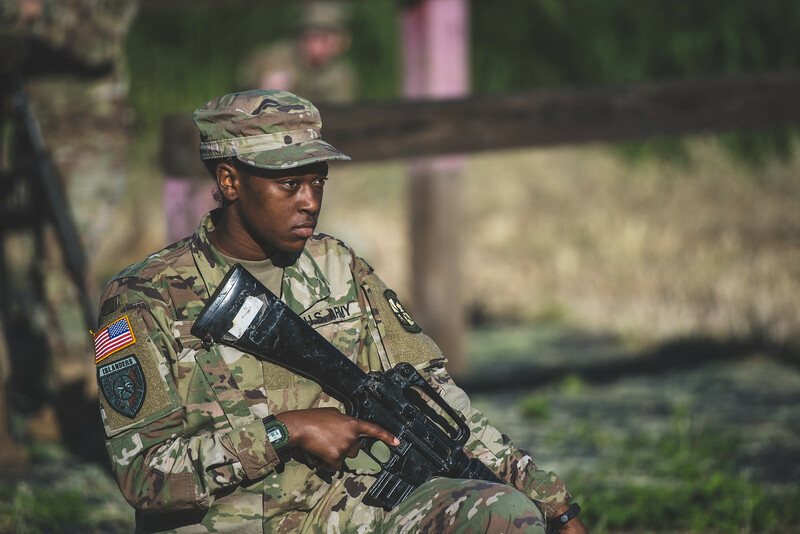 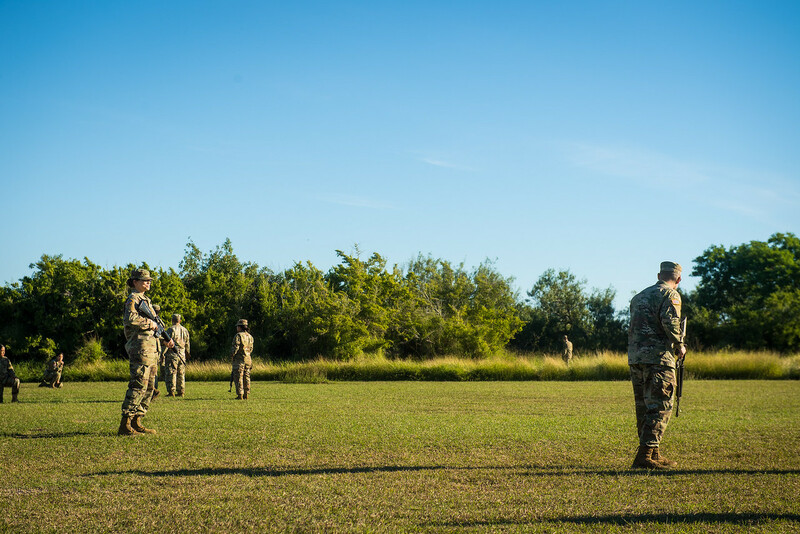 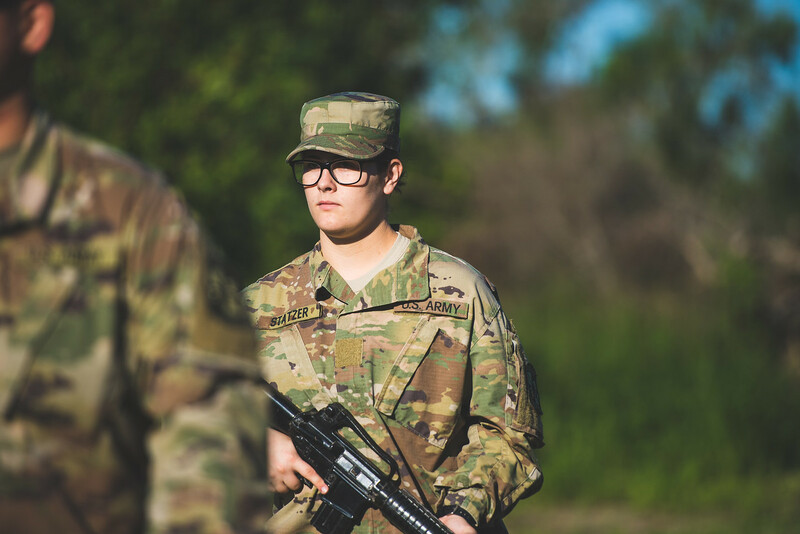 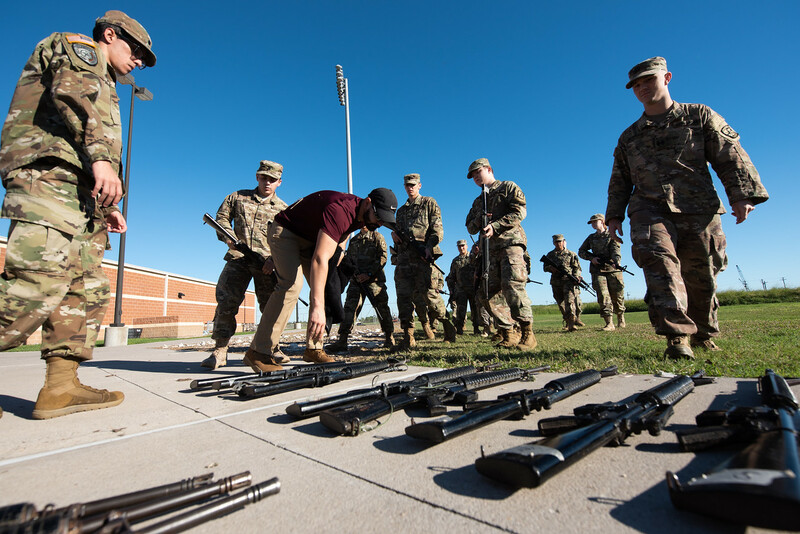 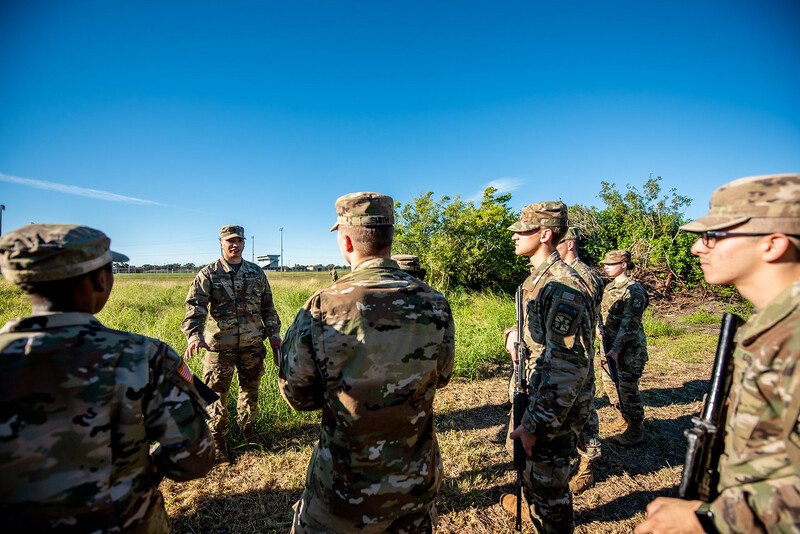 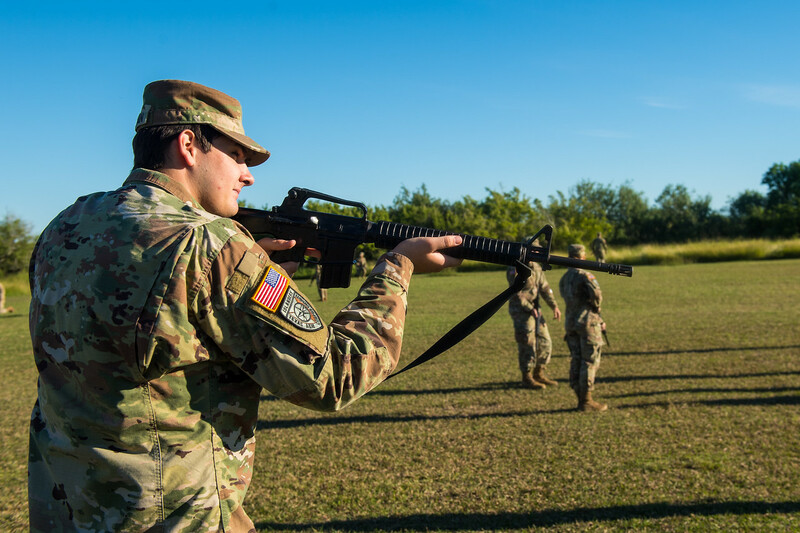 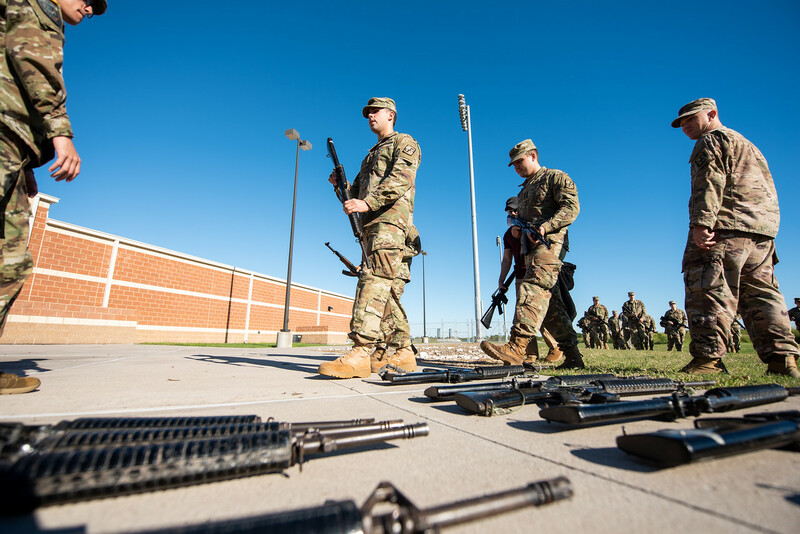 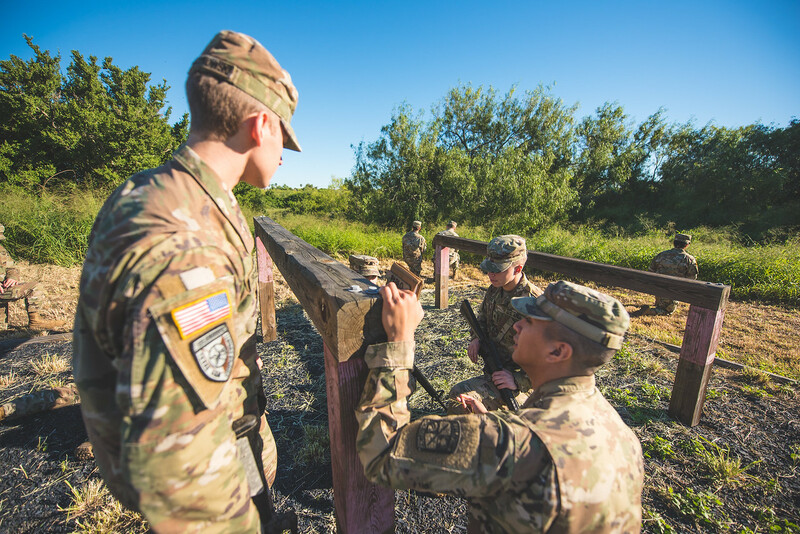 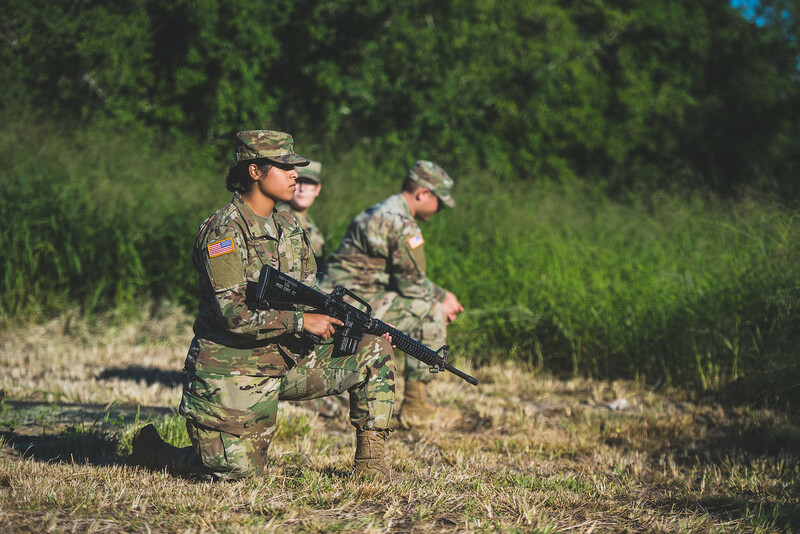 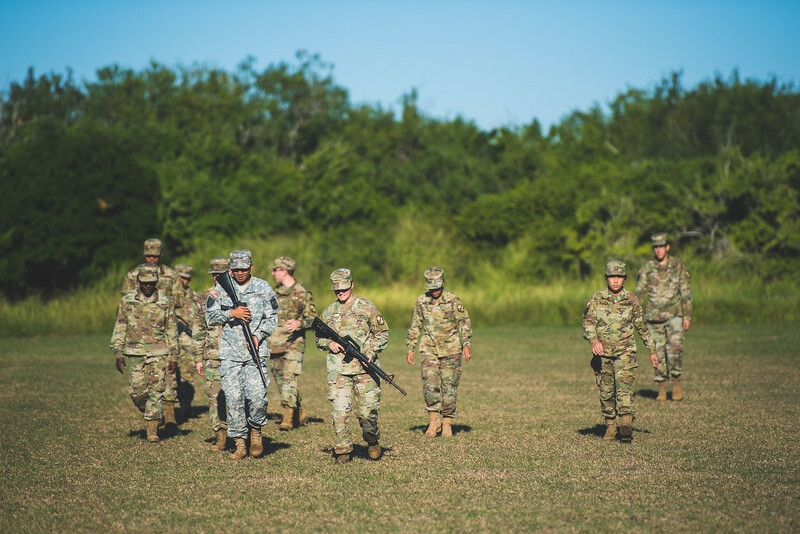 At the ambush tactics lab, ROTC cadets underwent squad tactical training, which focused on implementing battle drills into practice, including advancing towards and breaking contact from the enemy while maintaining security and control of their training weapons. 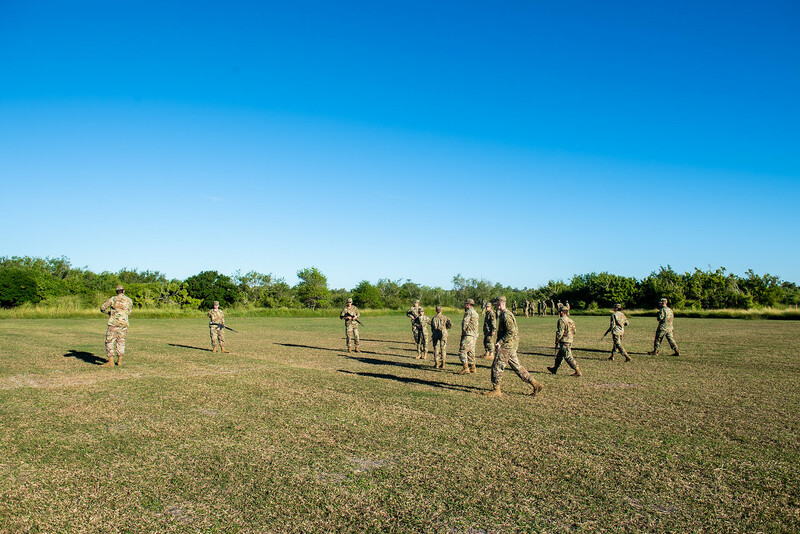 The exercises were led by senior cadets and monitored by ROTC Cadre, which allowed for teams to form bonds of trust towards their peers. 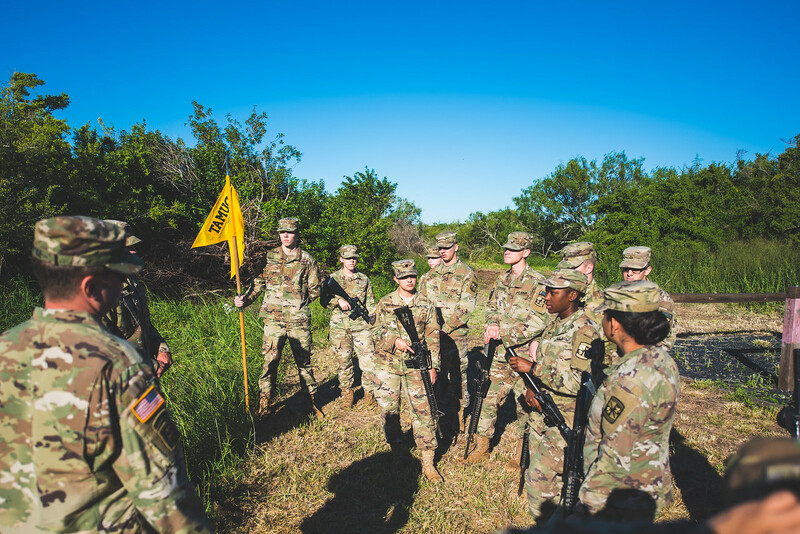 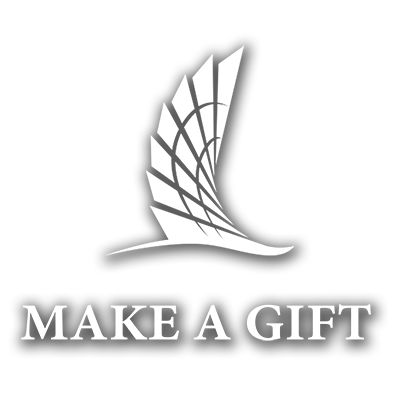 The program also incorporates the realities of military-based challenges like overnight field training and invites students to take advantage of two critical extracurricular activities offered: Ranger Challenge, an ROTC based multi-university competition; and Color Guard, a group that presents the national flag during community and campus events. 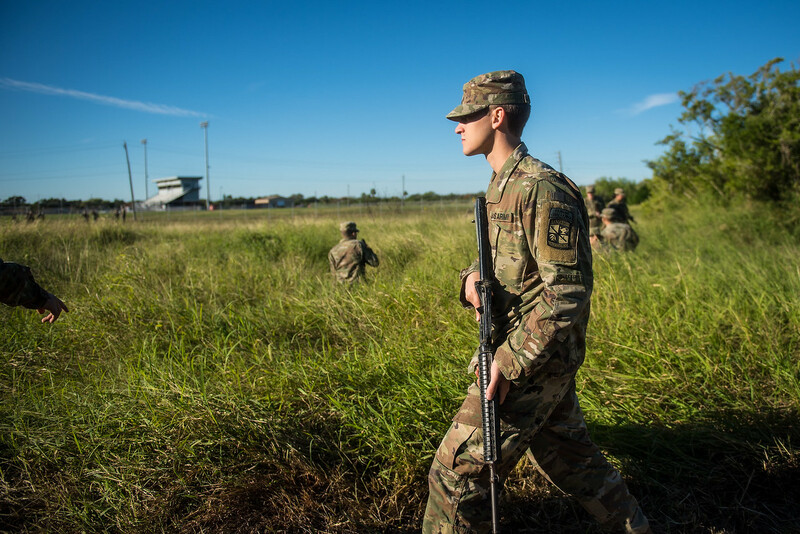 “I think what sets ROTC students apart is that we are not working to become managers of some – we are working to become leaders to all,” said Donald Roark, a junior environmental sciences major who comes from a military family. 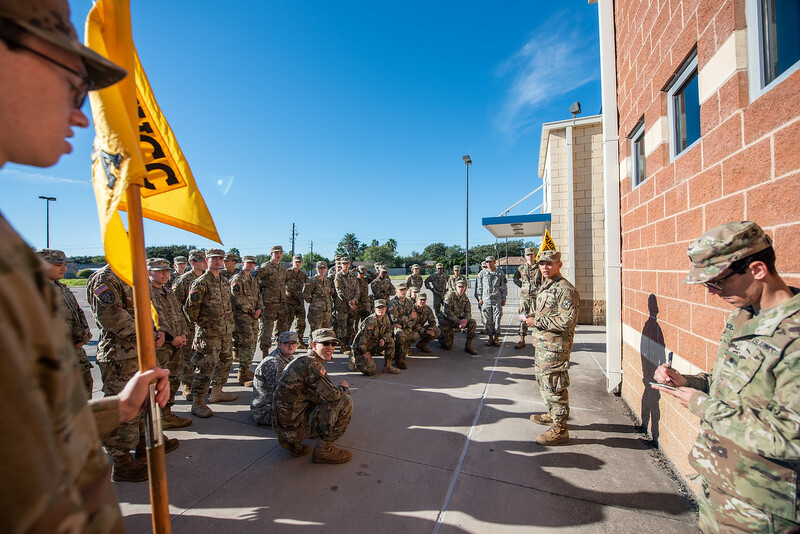 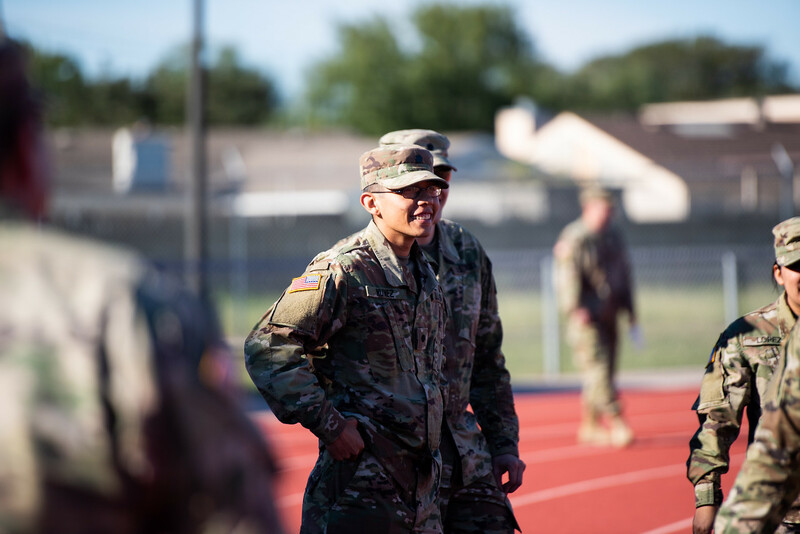 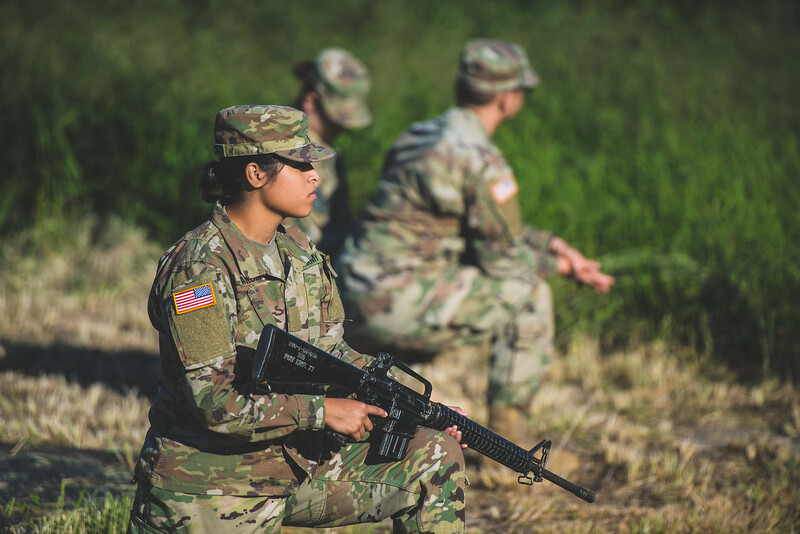 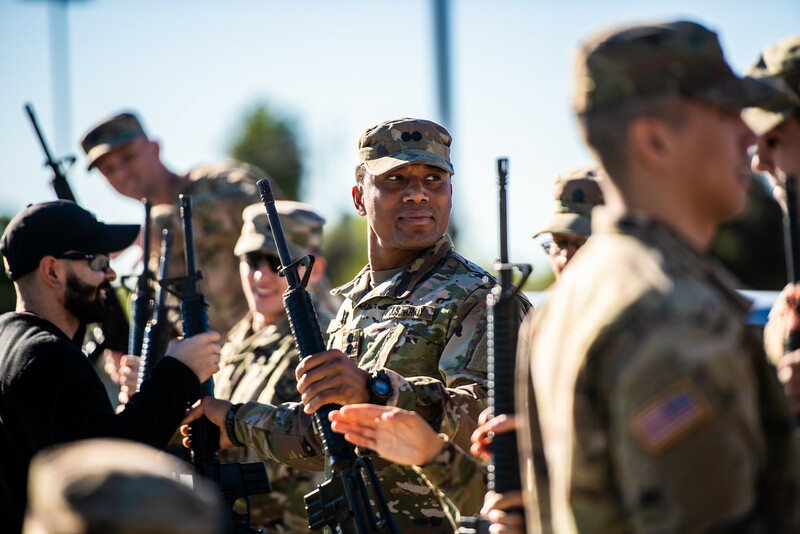 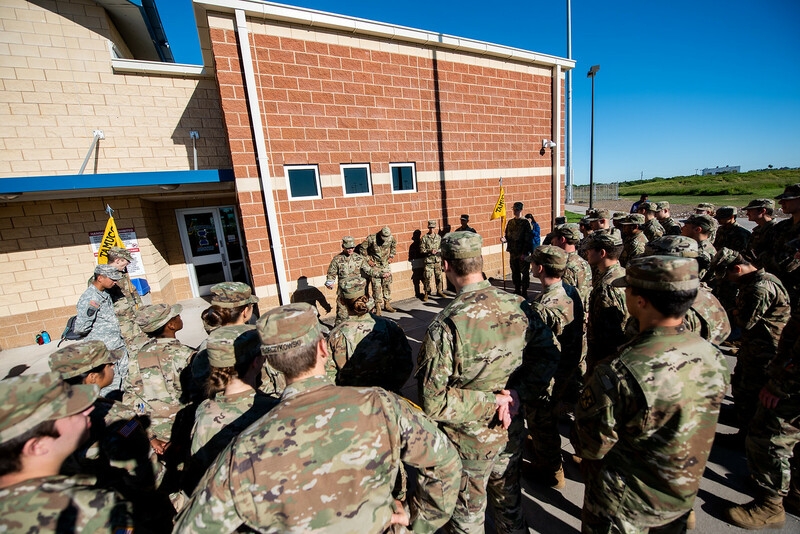 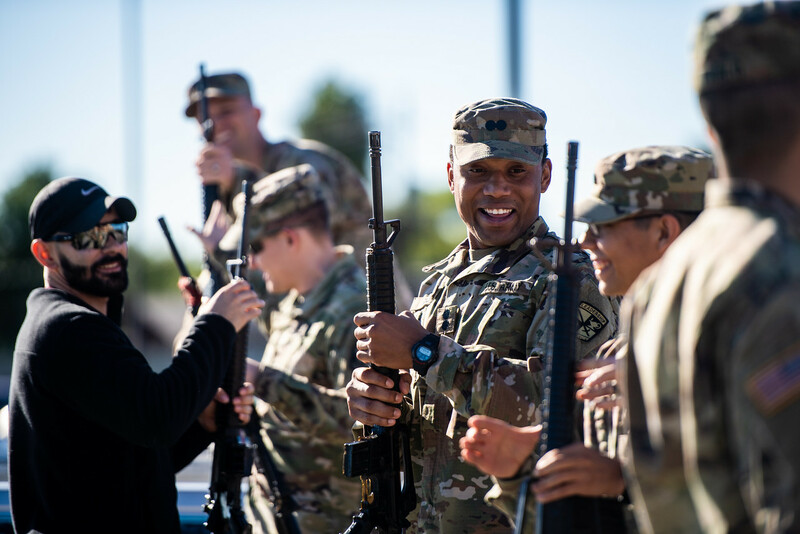 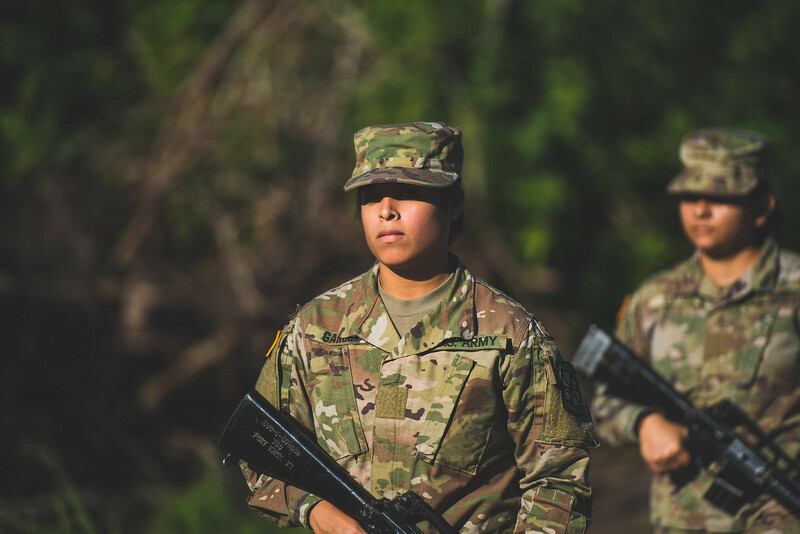 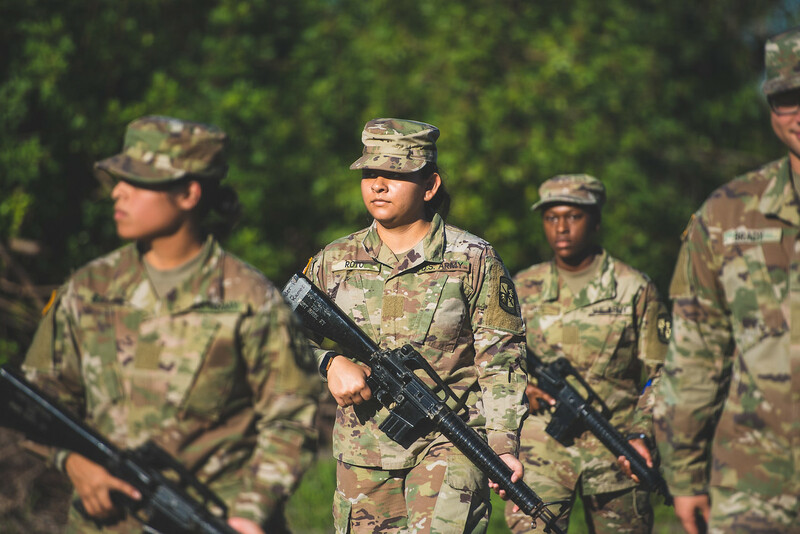 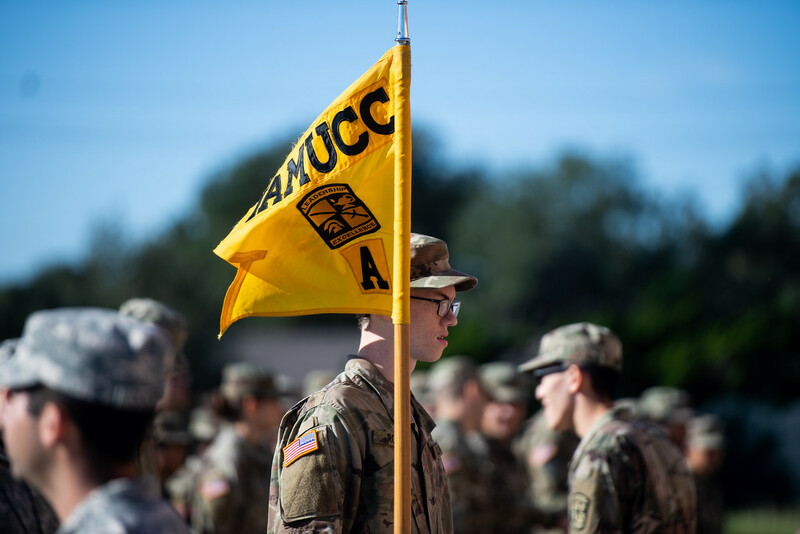 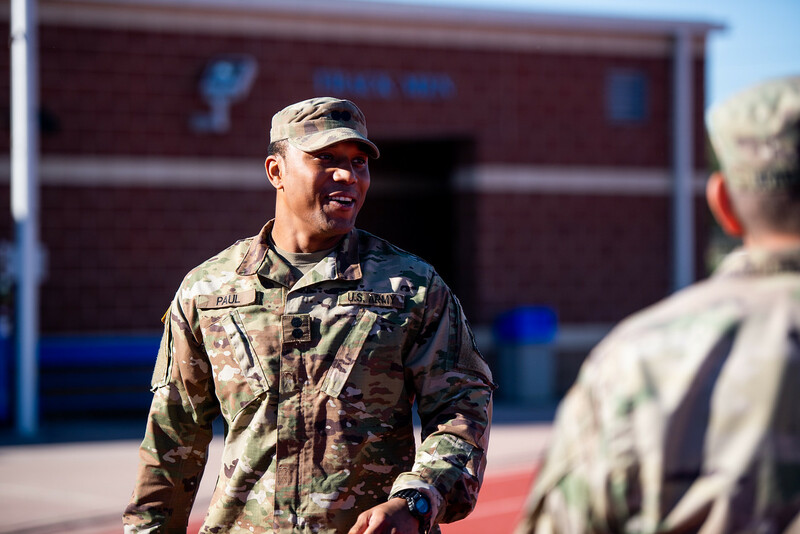 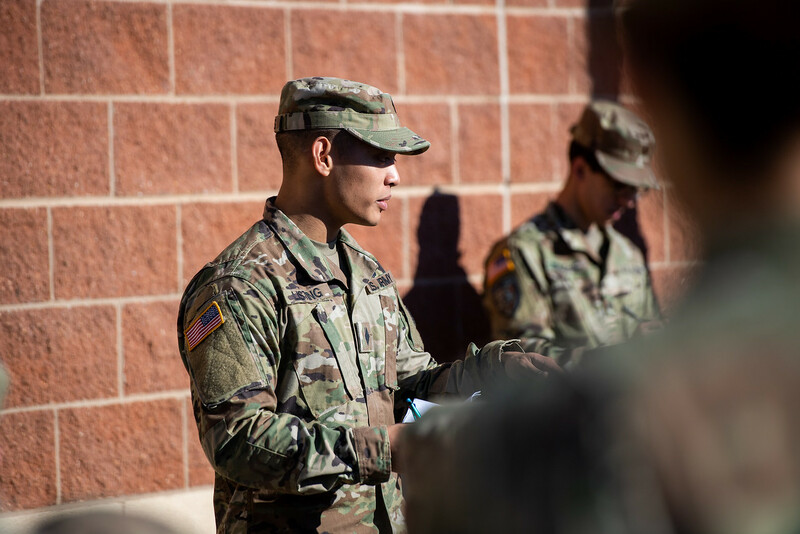 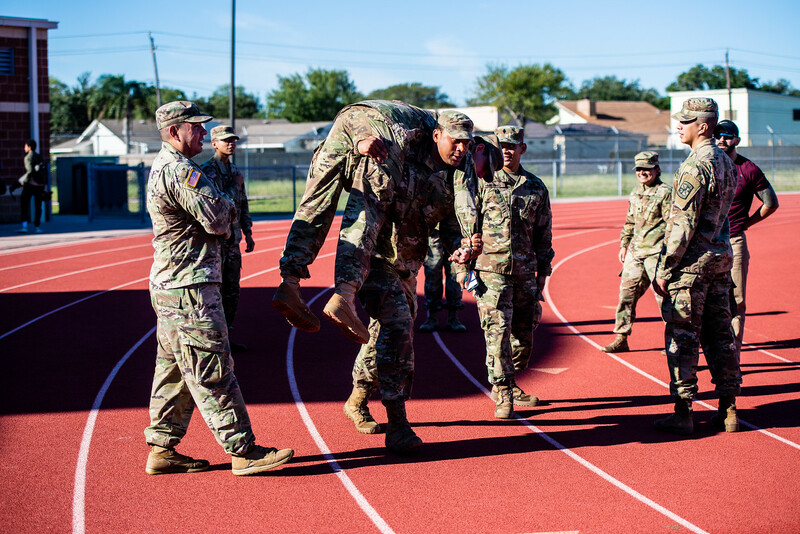 Upon successful completion of the program, students commission into the U.S. Army as a 2nd Lieutenant, which can include Active, National Guard, or Reserve Duty. 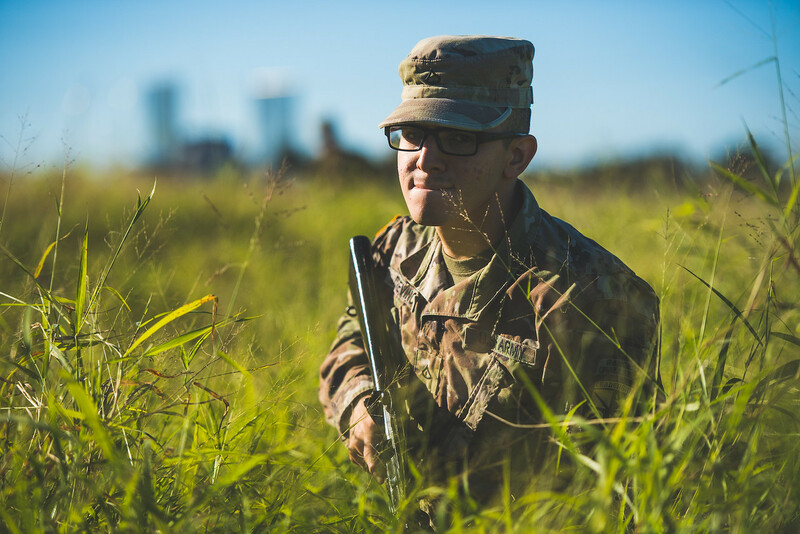 Tyler Hensley, a senior mechanical engineering major, has been in ROTC for five years. 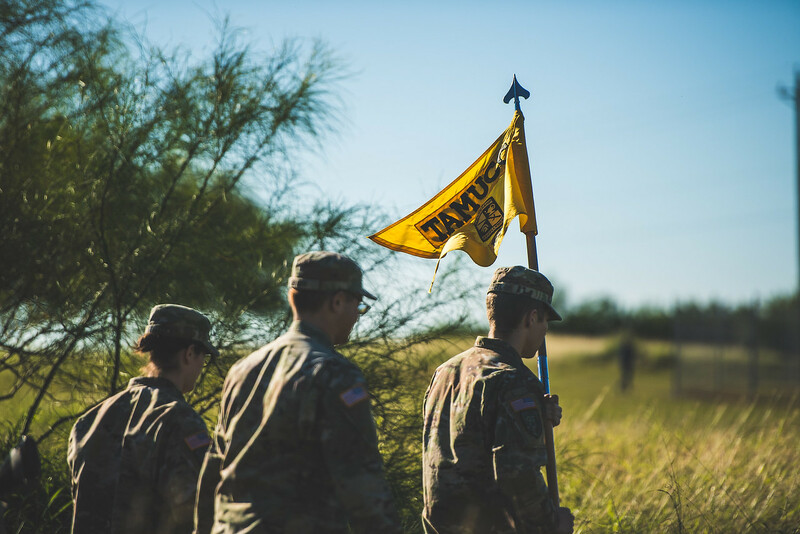 This semester, three cadets will earn their commission as 2nd Lieutenants at the fall commissioning ceremony on Friday, Dec. 14, starting at 10 a.m. in the University Center, Lonestar Ballroom. 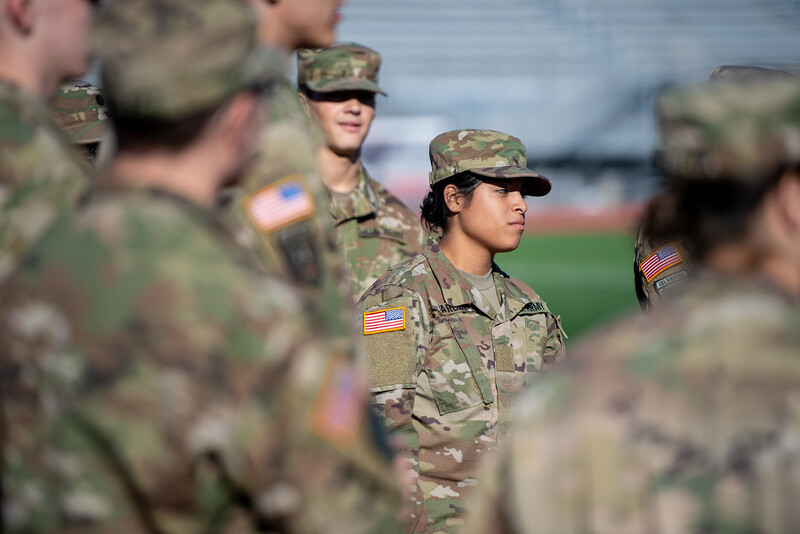 The ceremony is free and open to the public.